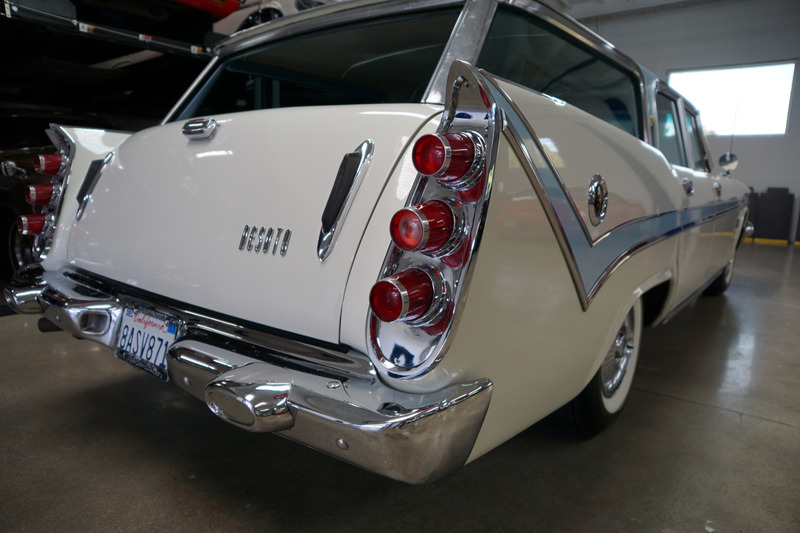 West Coast Classics is proud to present this absolutely exceptional and stunning example of this virtually all stock and completely rust and accident free 1959 De Soto Fireflite 6 passenger 'Shopper' Wagon with it's original 'Turboflash' 383cid/325HP V8 engine matched to it's original push button automatic transmission with reportedly and believed to be 57K original miles! 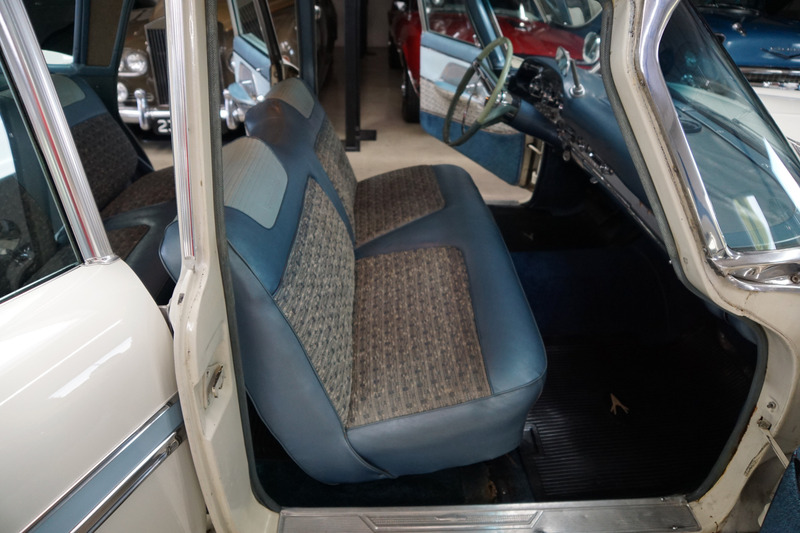 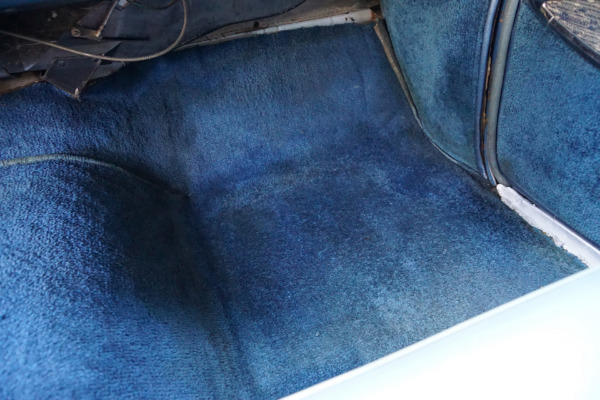 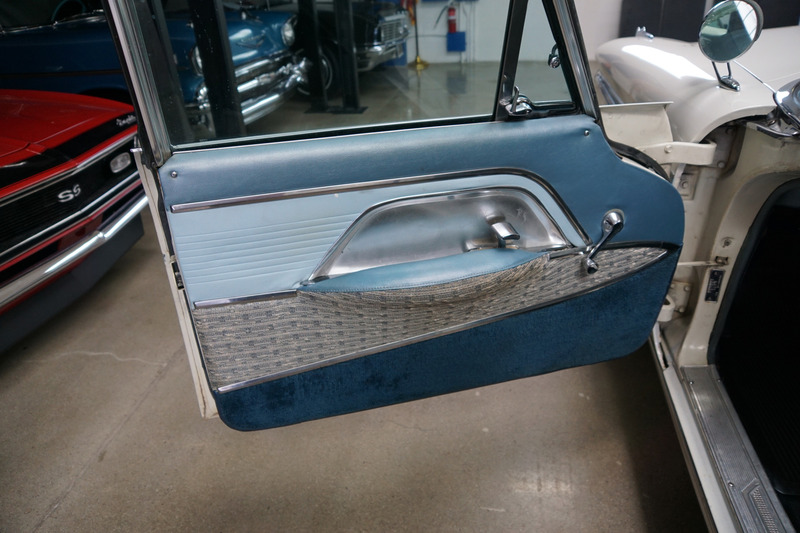 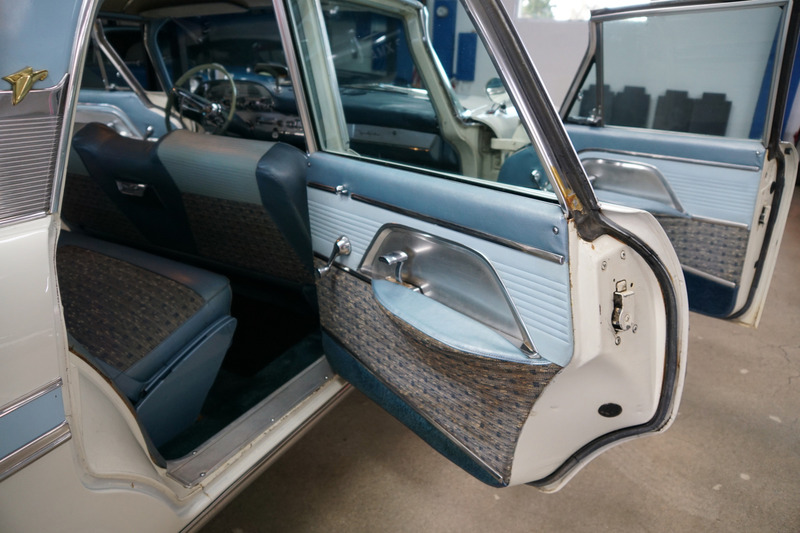 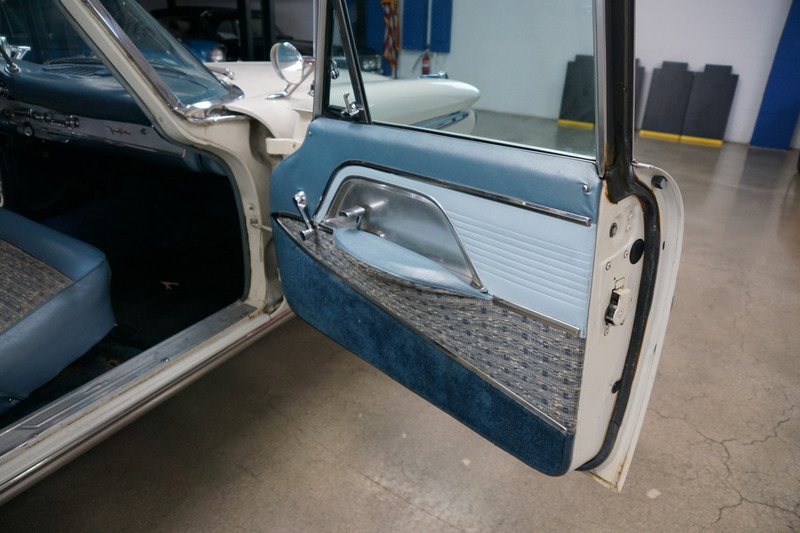 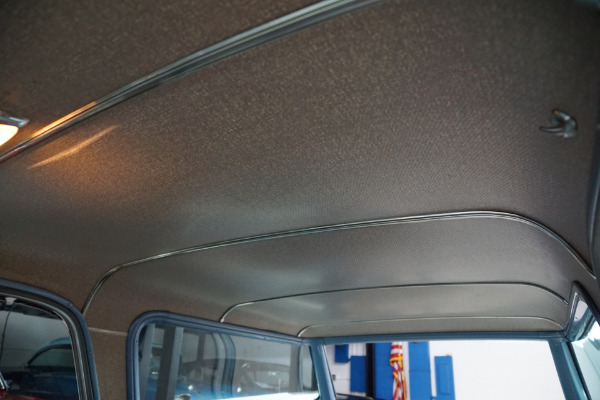 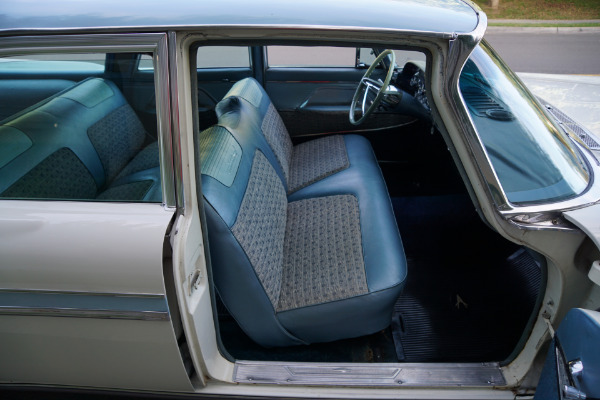 Finished in it's original factory two-tone 'Pearl White & Glacier Blue' color paint with its rare all original original factory 'Parisian Tweed' brocade and vinyl interior and trim! 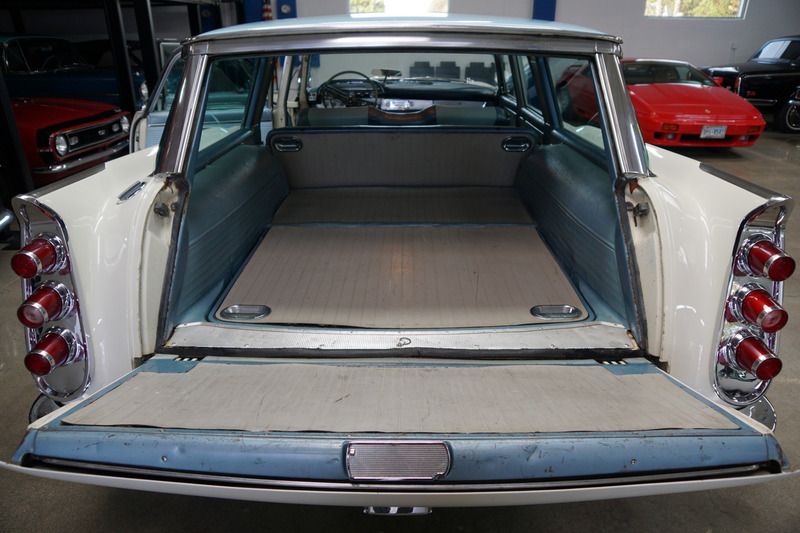 Extraordinarily rare as it's 1 of only 271 'Shopper' wagons built in 1959, and now very thin on the ground with very few left and we would hedge our bets to suggest none as all original and as well kept as this particular example, and with the very rare and desirable correct original Raised Block ML383 4 Barrel V8 engine. 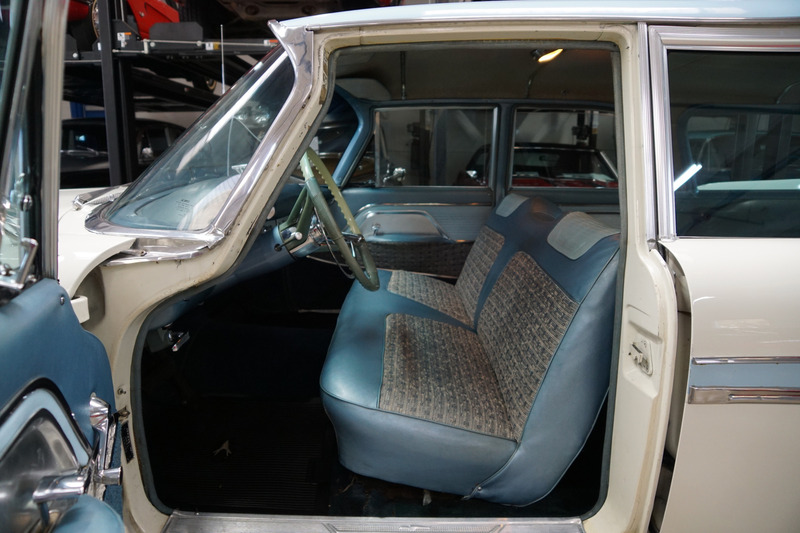 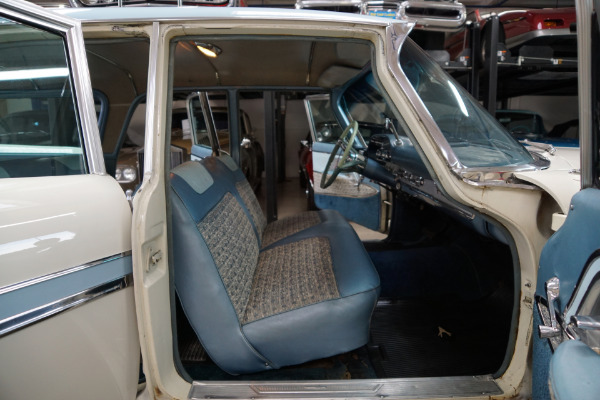 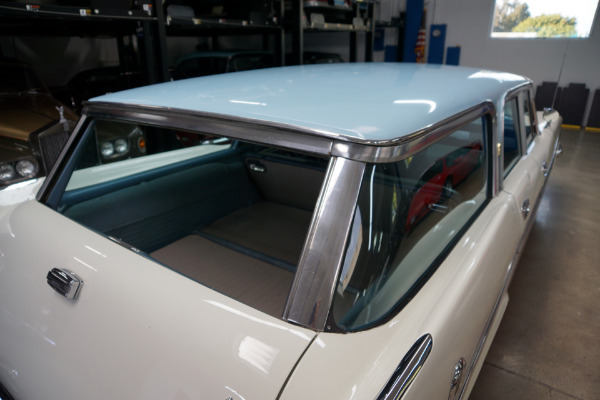 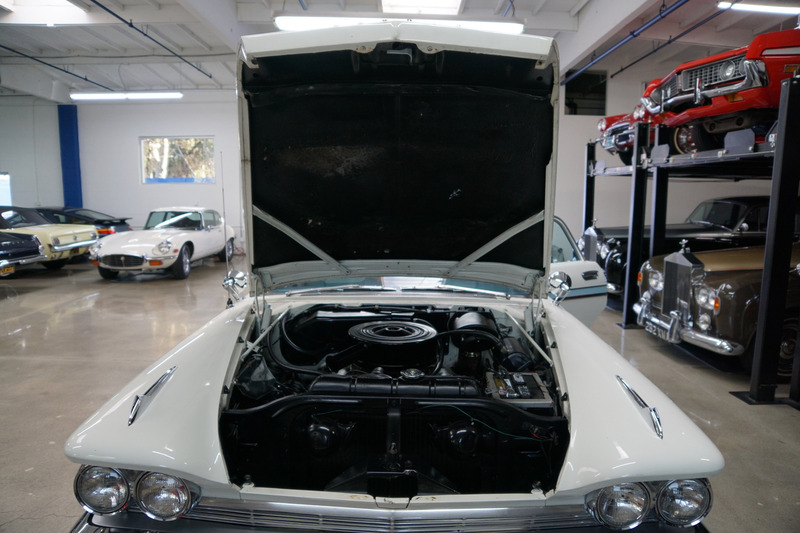 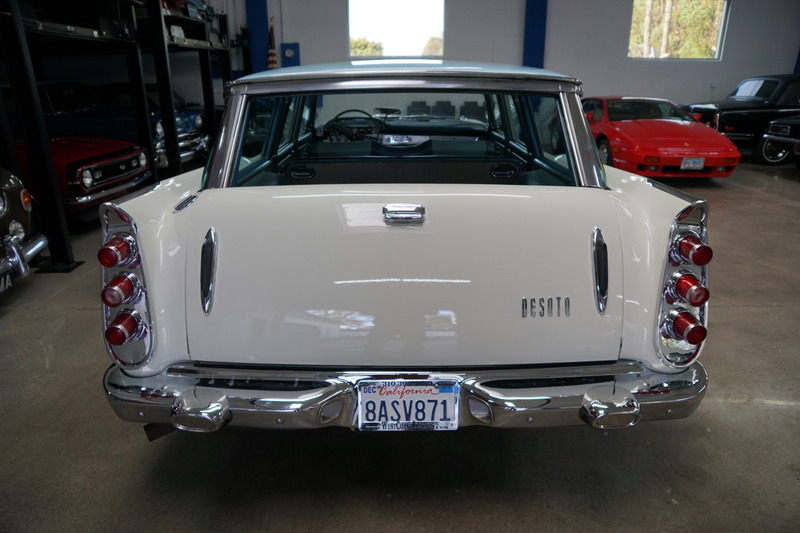 The car looks extremely striking in it's original factory 'White & Blue' color paint and the correct factory original interior is both rich and unblemished and the whole interior is also in quite exceptional and mostly completely original condition throughout! 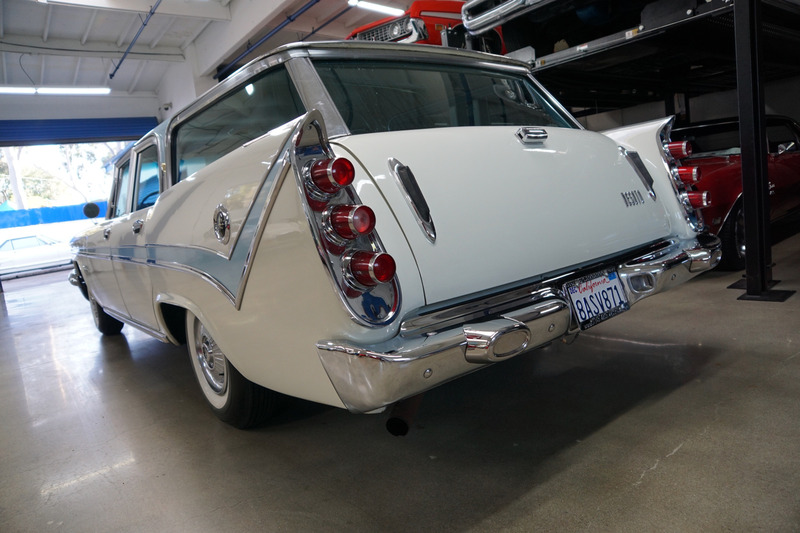 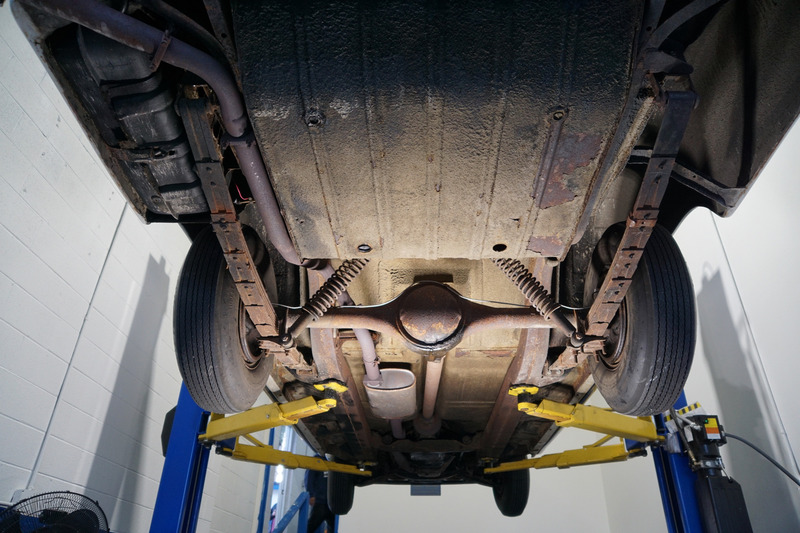 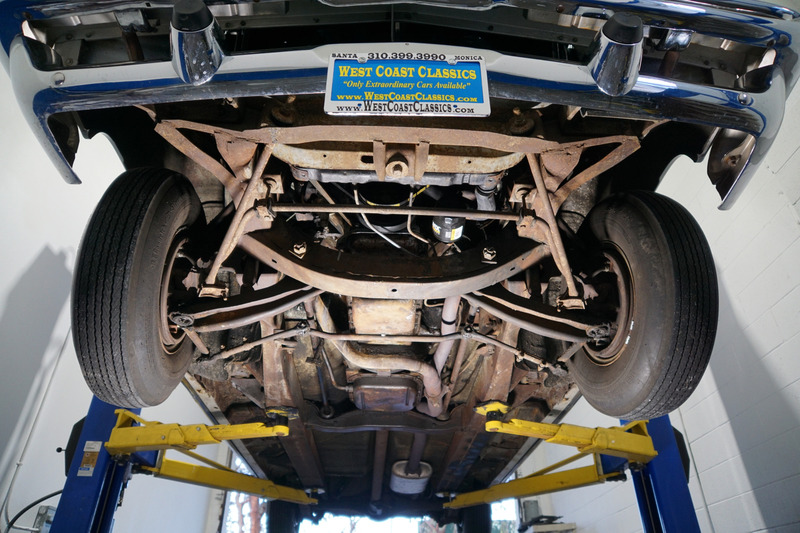 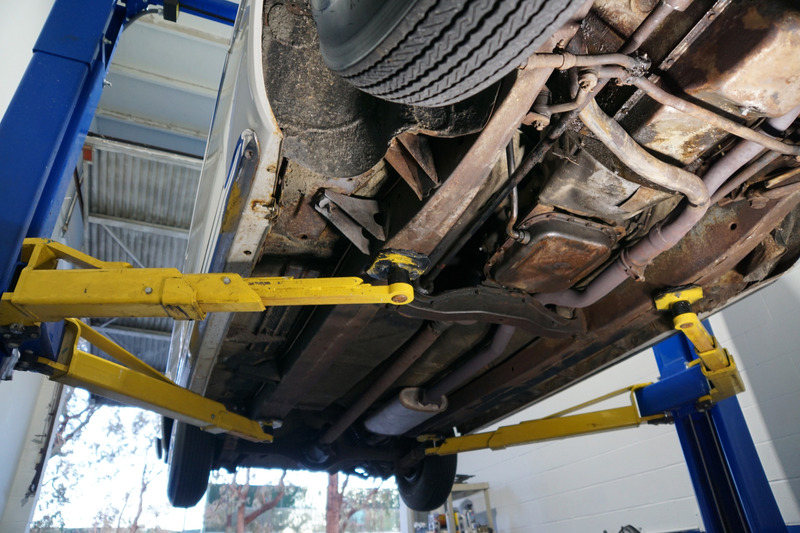 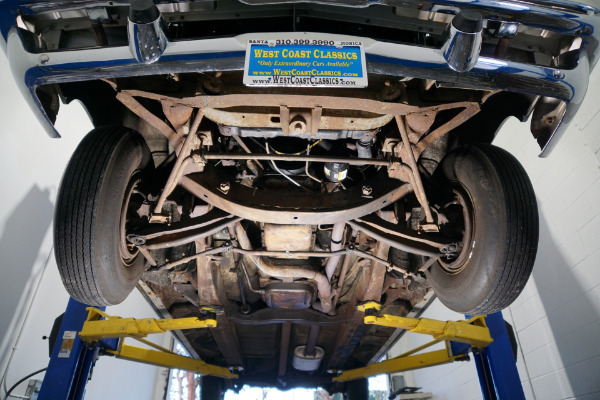 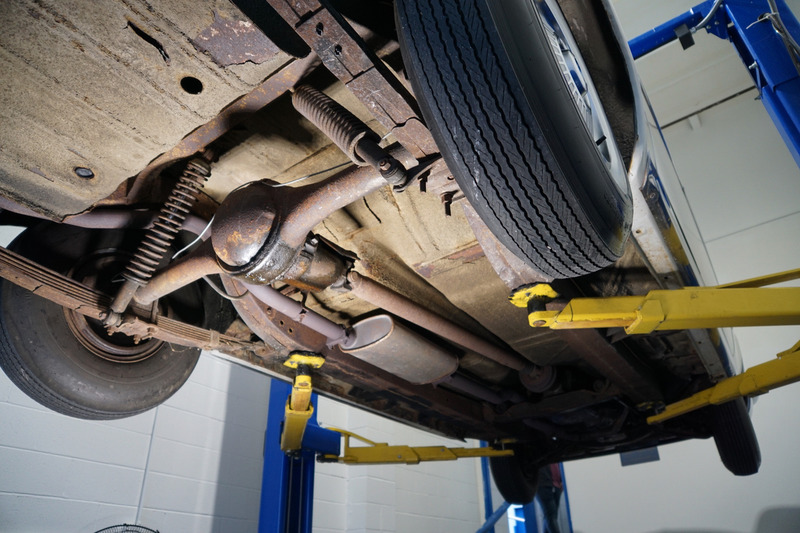 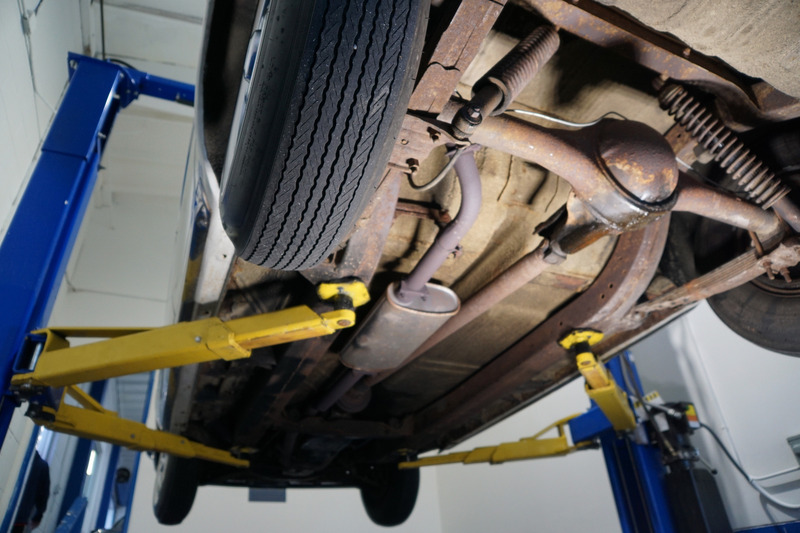 All the original chromework is also in very beautiful condition with no pitting and the original spare wheel and jack is in the trunk. The original 383 cid 325HP V8 cylinder engine is extremely strong and powerful and this particular car drives magnificently - must be driven to be believed - drives straight as an arrow with no strange road wobbles, shakes or rattles - a truly remarkable daily driver that will give any modern day car a run for it's money! 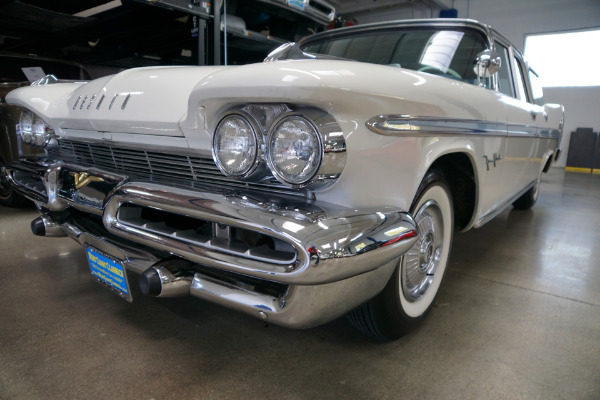 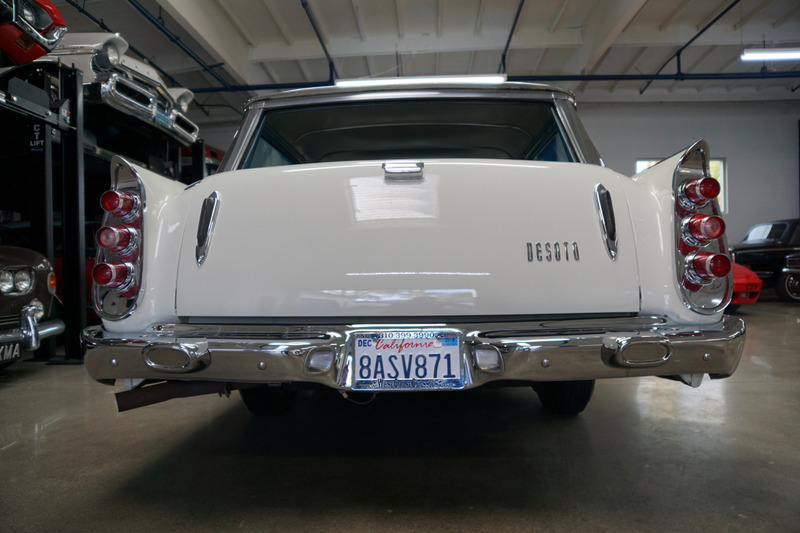 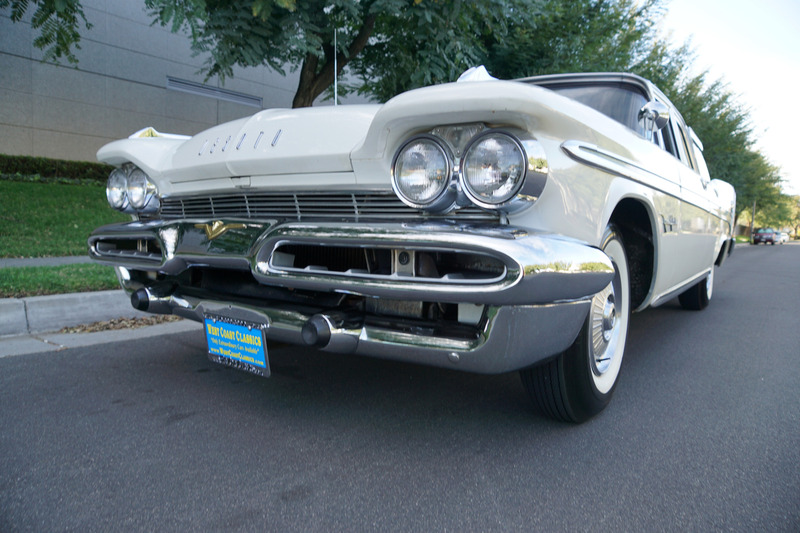 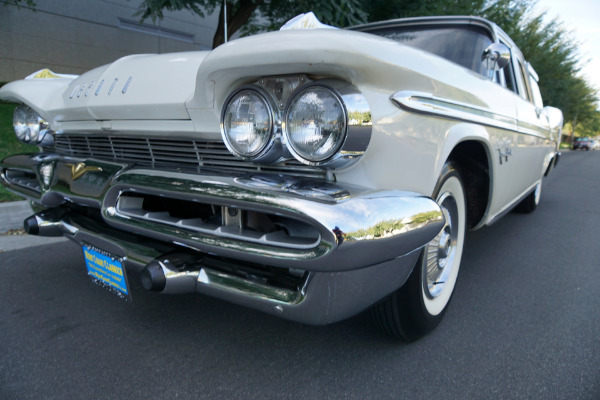 Designed by the legendary Virgil Exner in 1955, the 'Forward Look' design of the De Soto Fireflite with a snappy two-tone paint job and a list of features that would make any automaker proud. 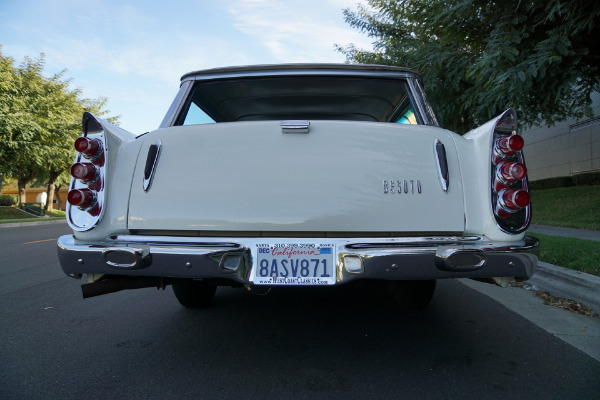 From it's inception in 1928 De Soto had always built cars that were distingushable from their similar Chysler cousins. The DeSoto was arguably always more exciting and sportier looking than any of the standard Ford's and Chevrolet's as the model was graced with bright backswept fender ornamnets which encompassed the headlights and large chrome lined color sweeps which extended the length of the car with even more trim affixed to the lower rocker panels. Buyers could also opt for the Fireflite model which added upgraded upholstery and trim and by 1959 the larger 383 V8 engine. 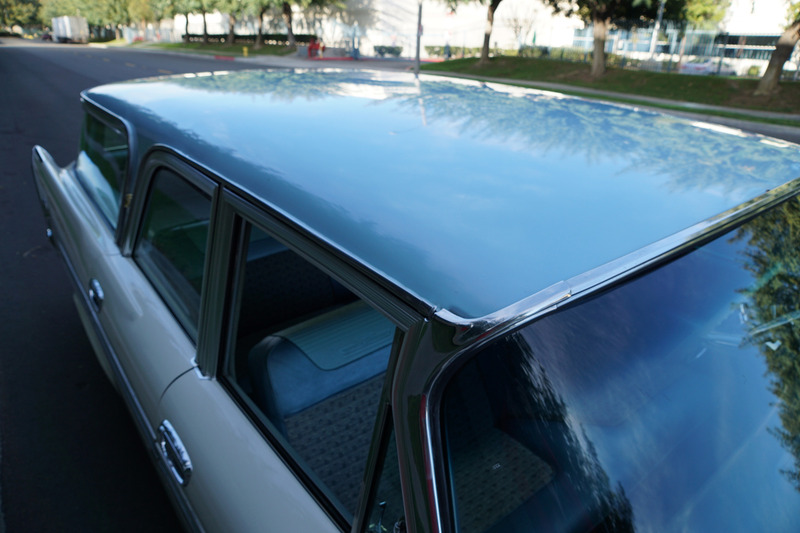 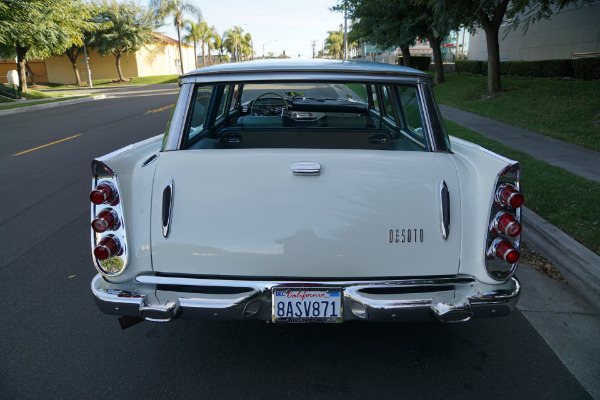 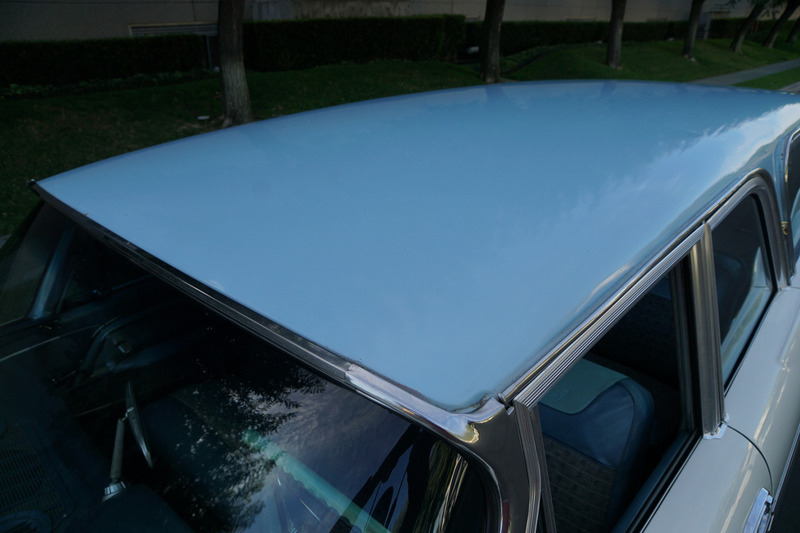 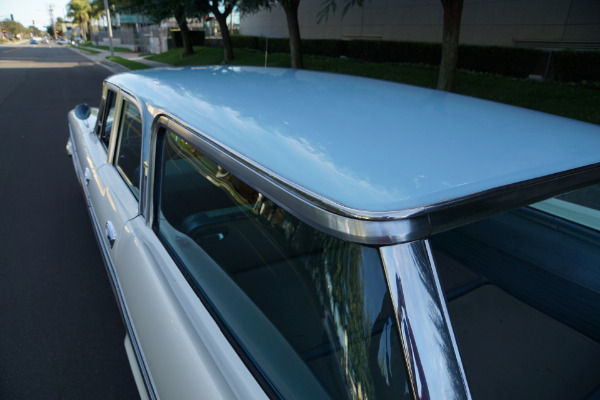 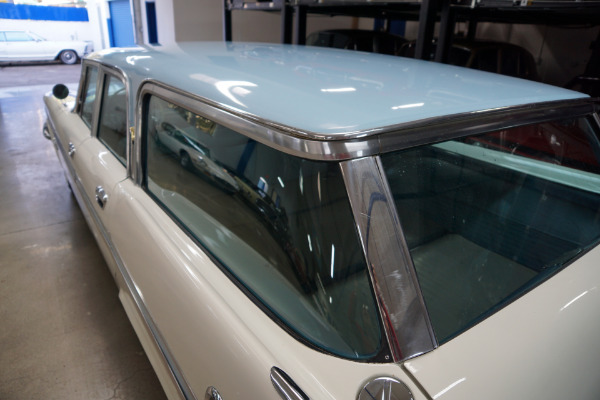 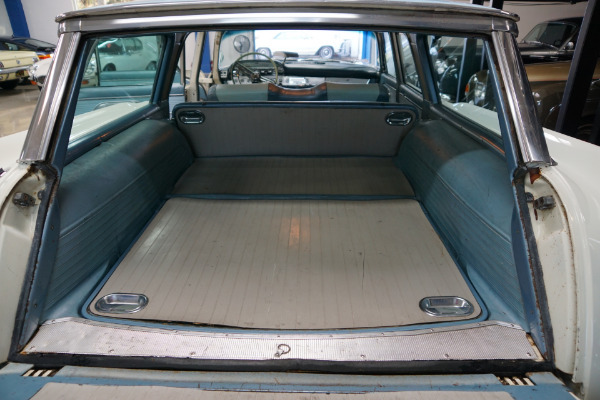 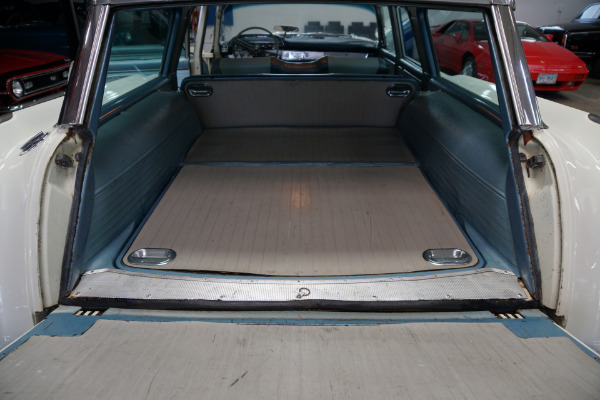 During the 11 years that De Soto built station wagons, they were, and they remain, some of the most distinctive looking American made wagons of all time, highly desired and sought after internationally by collectors as the ultimate classic all Amercian station wagon, with the last and most iconic model being of course the last year of production in 1959. 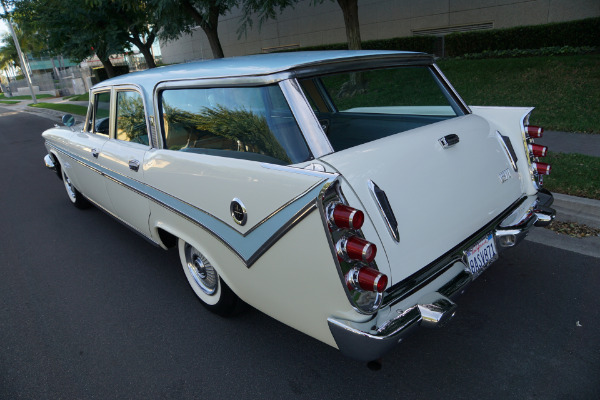 Due to extremely low production numbers finding one is a real treasure hunt with a mostly all original and unrestored unblemished stock example like this one surely being the holy grail of late 50's wagons. 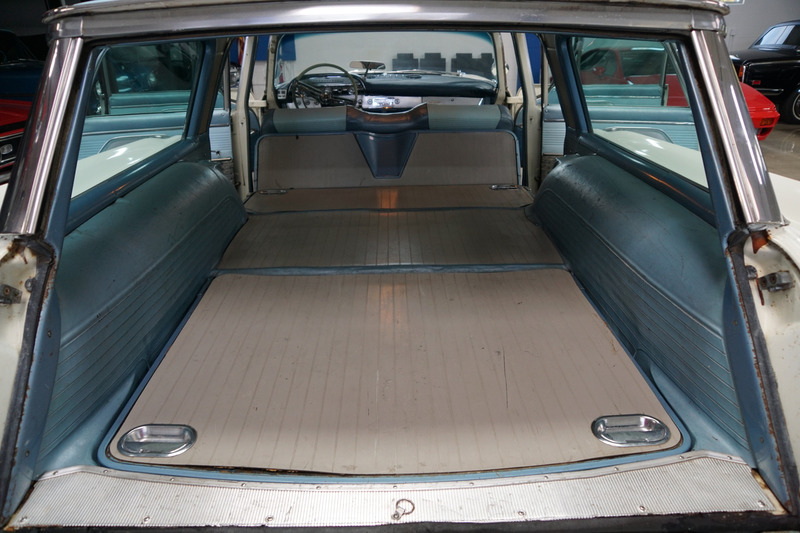 The 1959 De Soto Fireflite 4 Door Station Wagon was a very limited production run with only 271 six passenger 'Shopper' wagons, and 433 nine passenger 'Explorer' wagons with the rear facing rear seat, built in total in 1959. 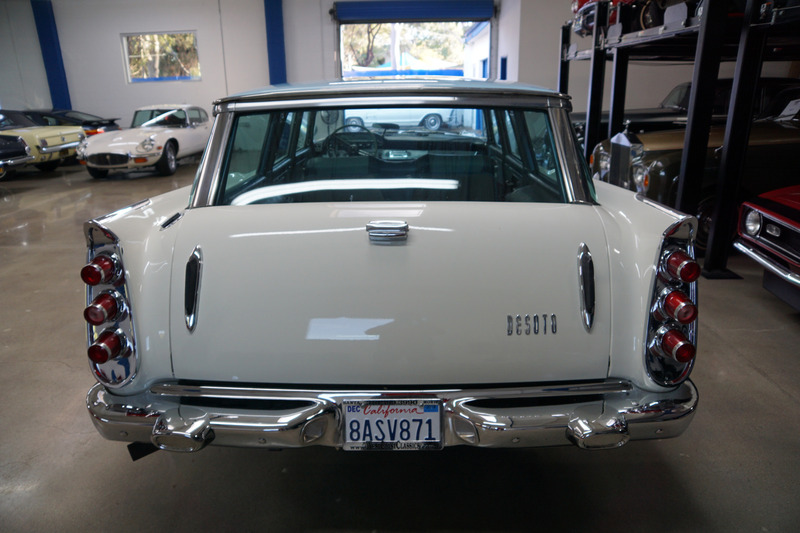 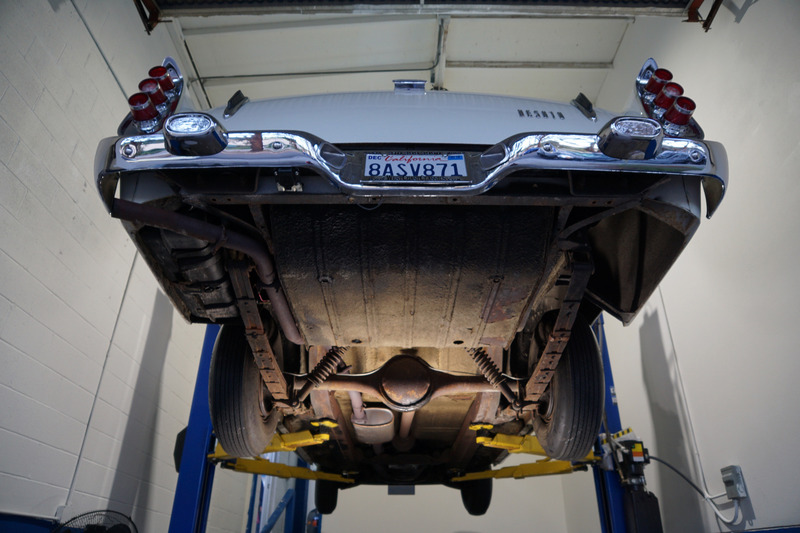 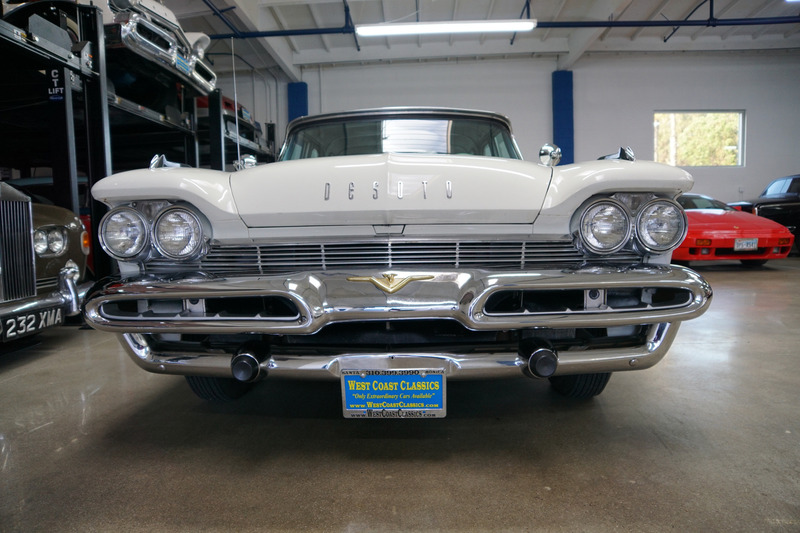 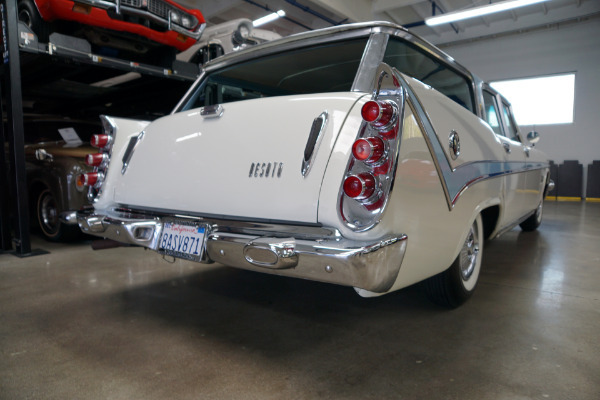 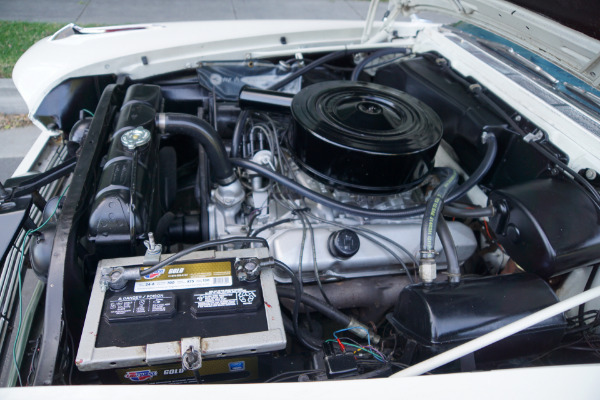 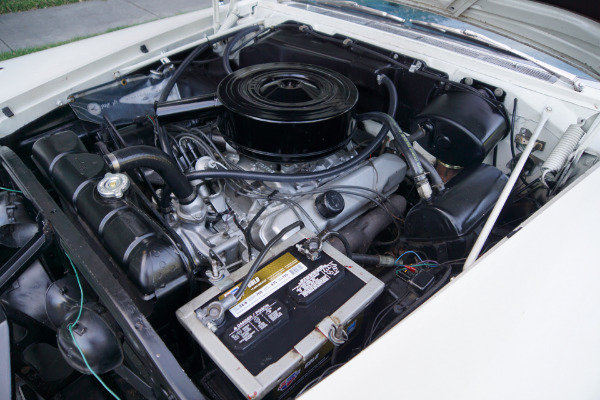 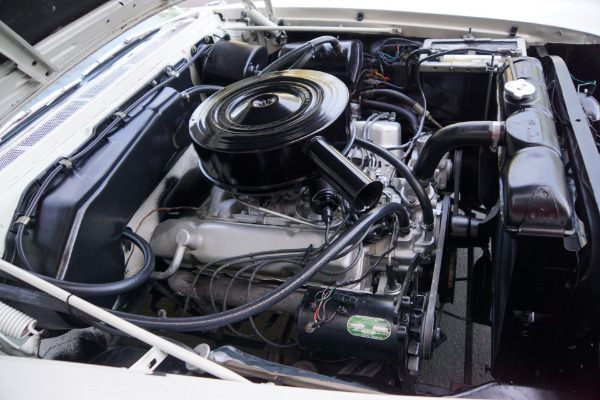 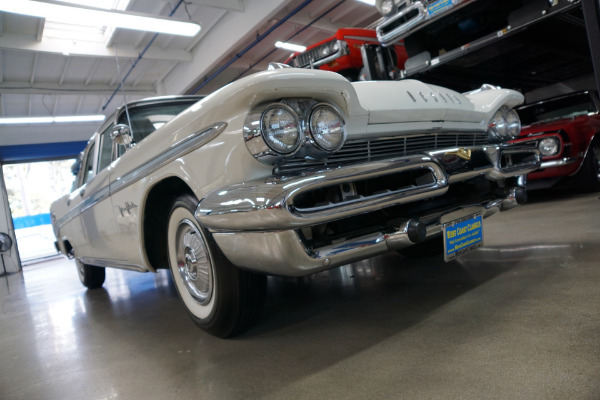 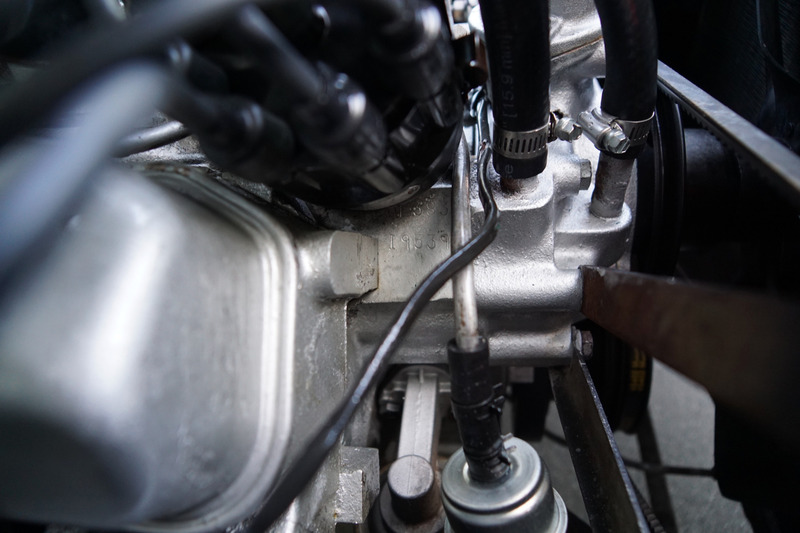 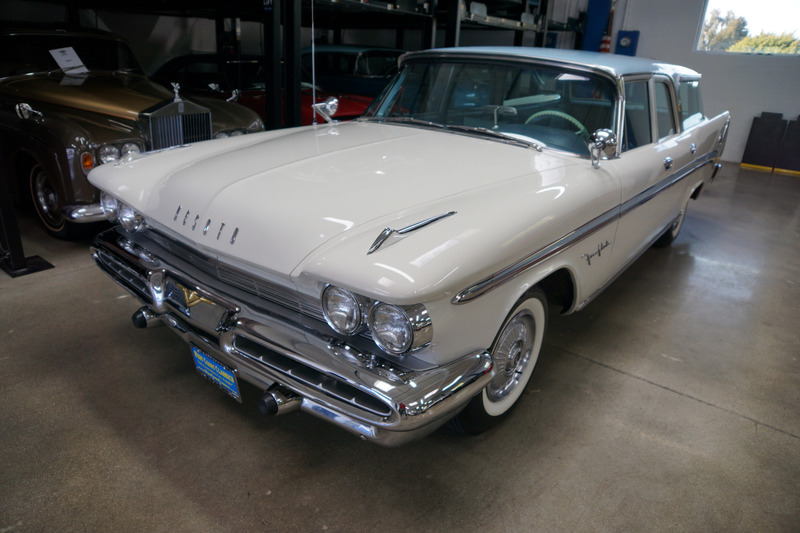 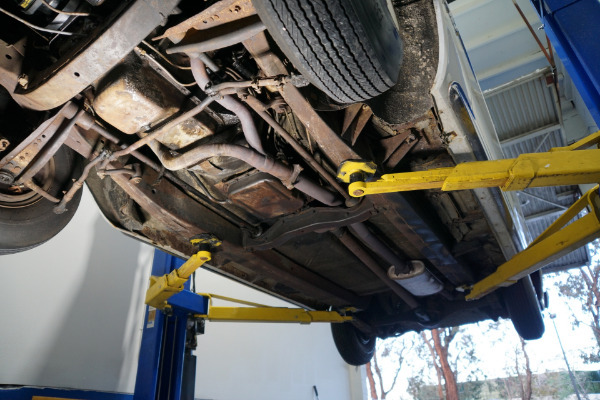 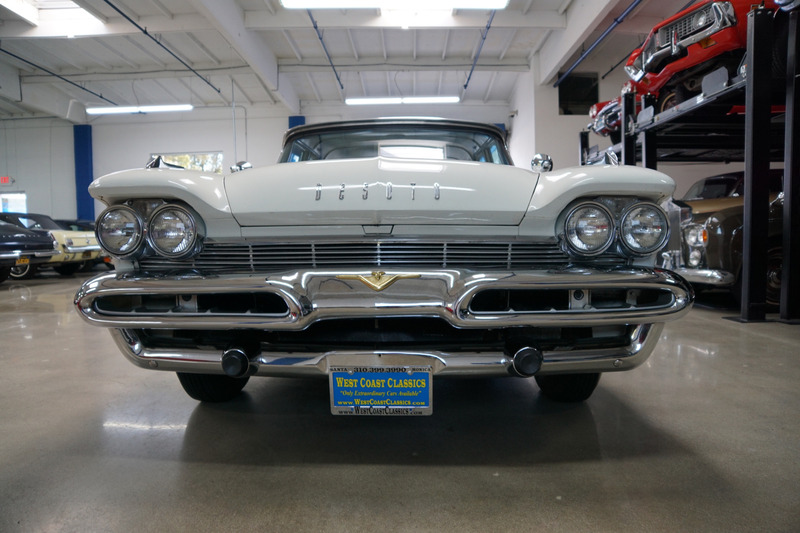 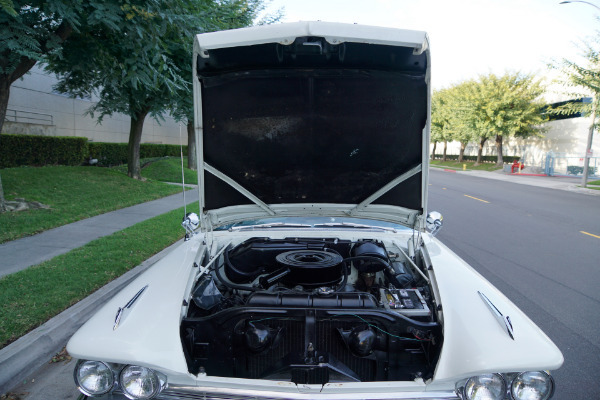 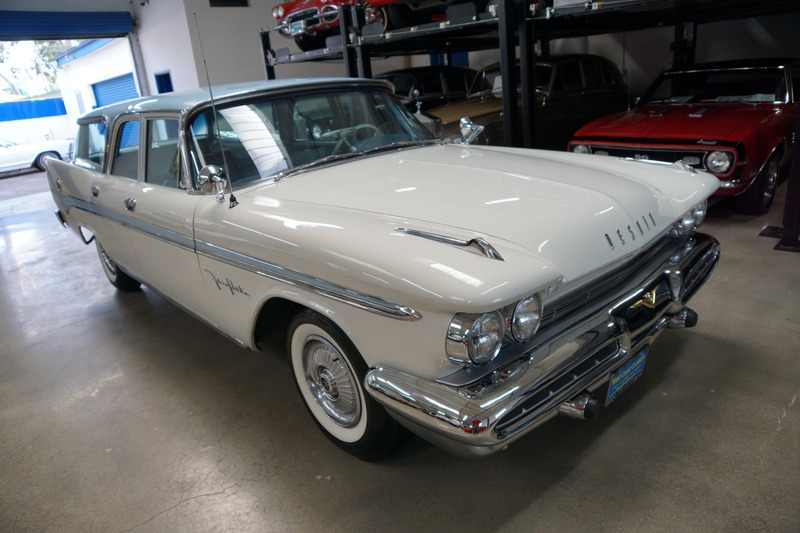 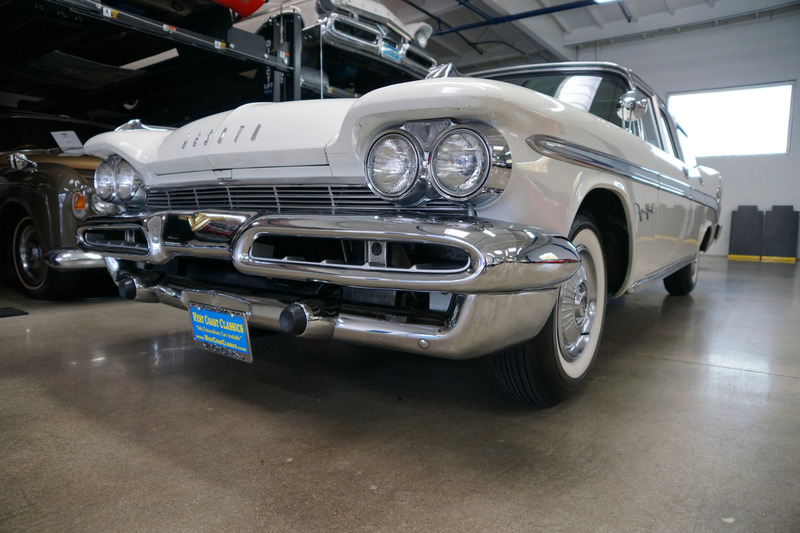 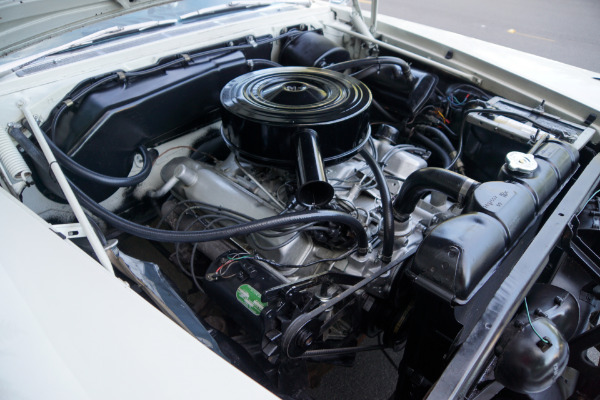 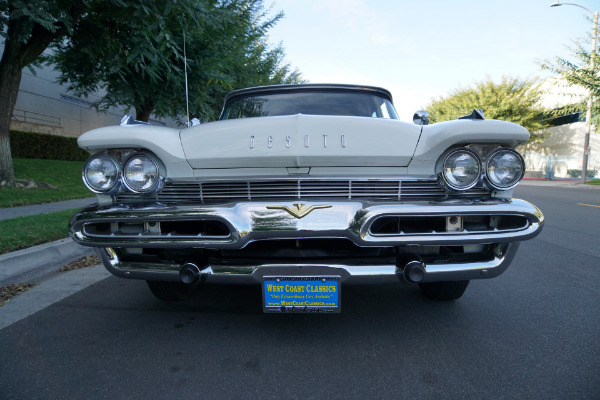 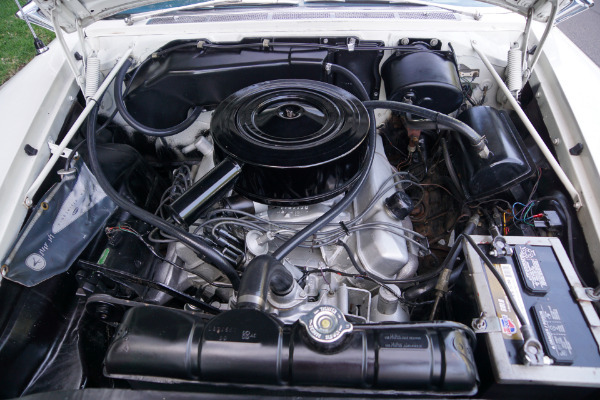 Built only between the years 1957-59, there were some exciting new engineering features in 1959 with the new Chrysler 383 CID V8 introduced as the top-of-the-line engine, providing absolutely extraordinary horsepower in a wagon! 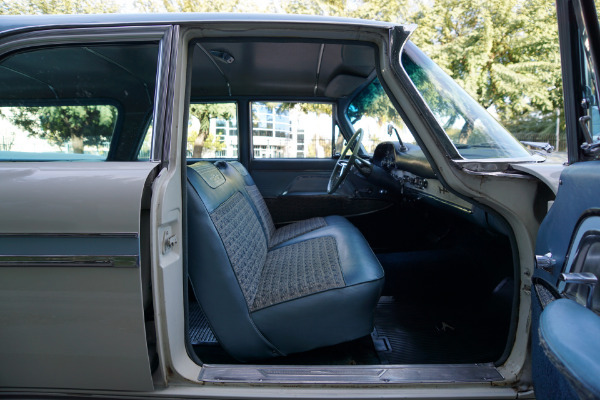 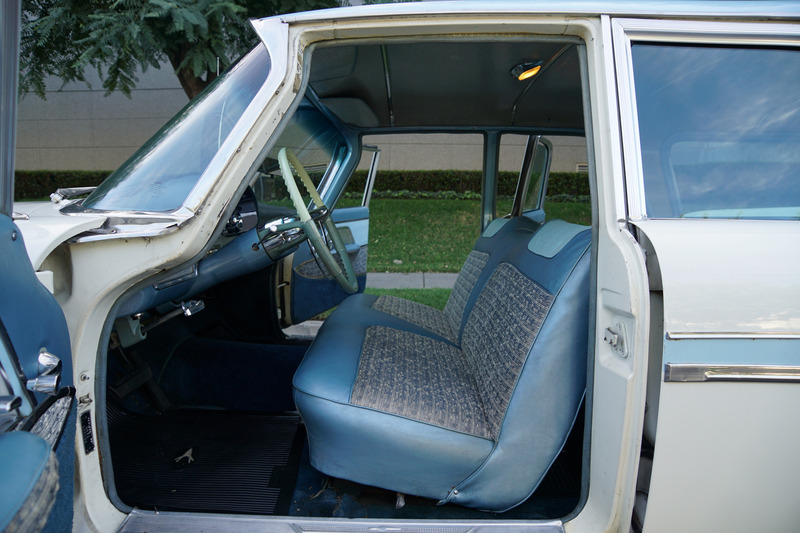 Inside, new 'Fashion Vogue' interior colors and fabrics were introduced along with a restyled instrument panel. 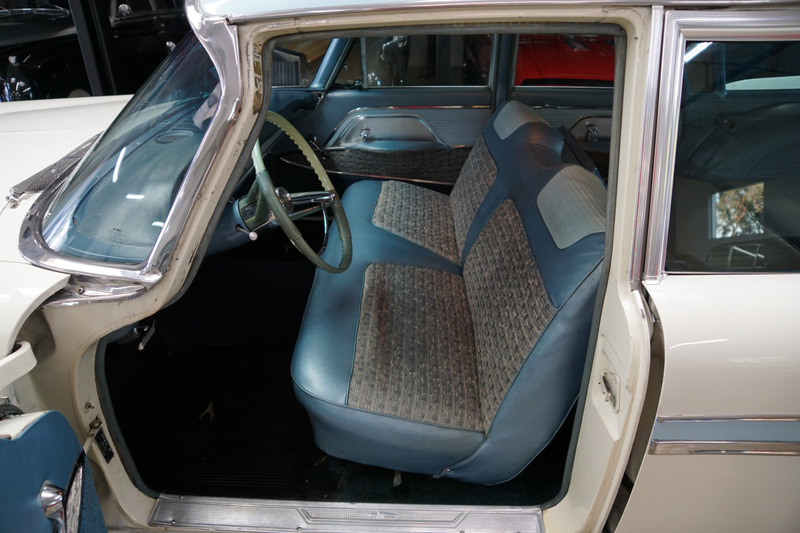 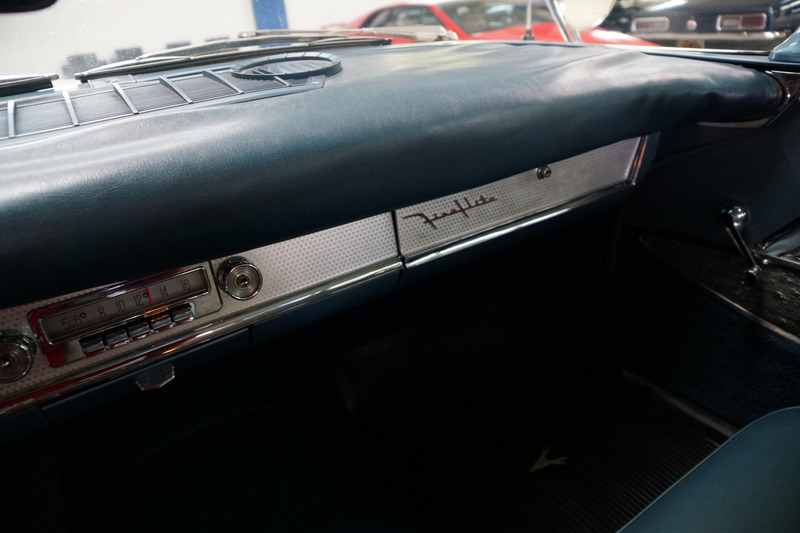 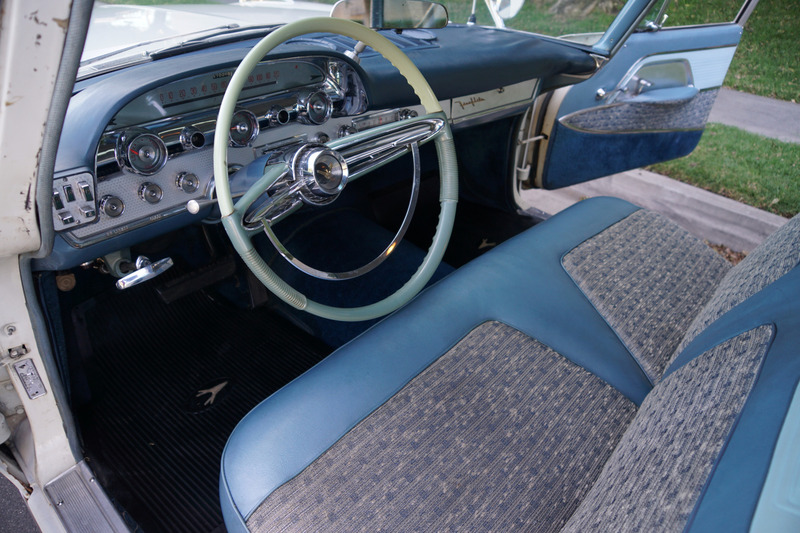 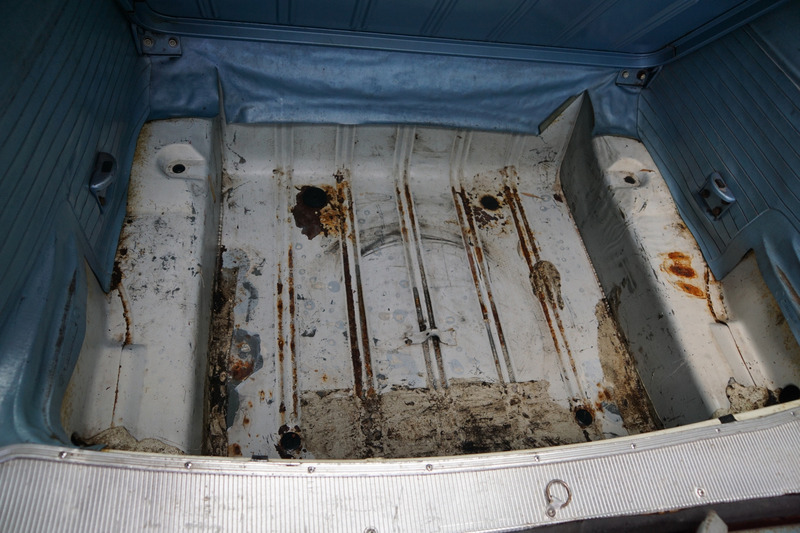 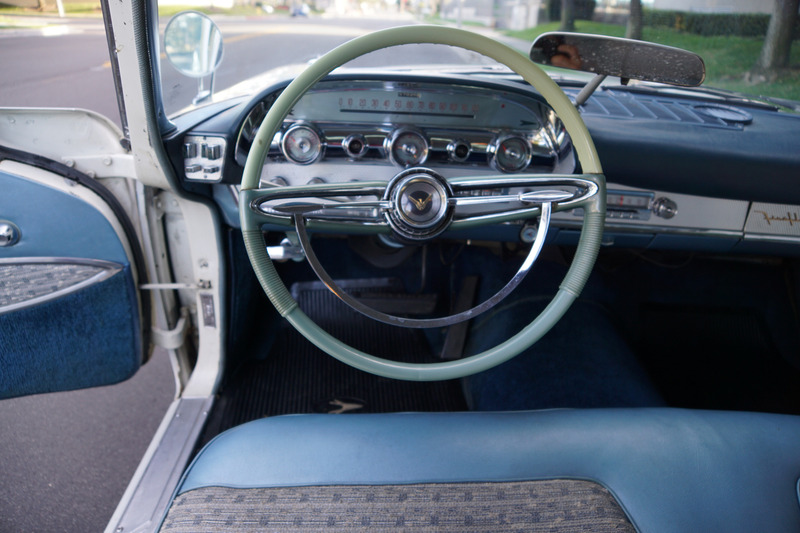 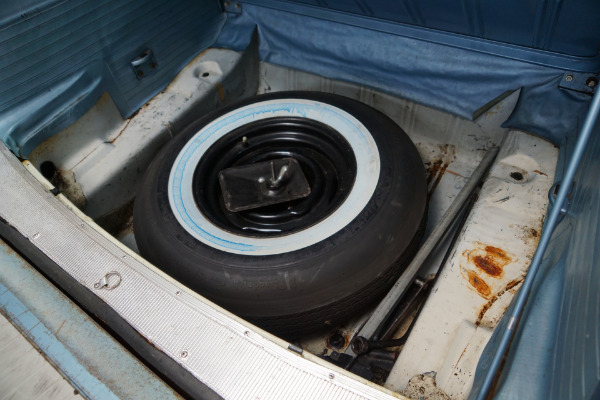 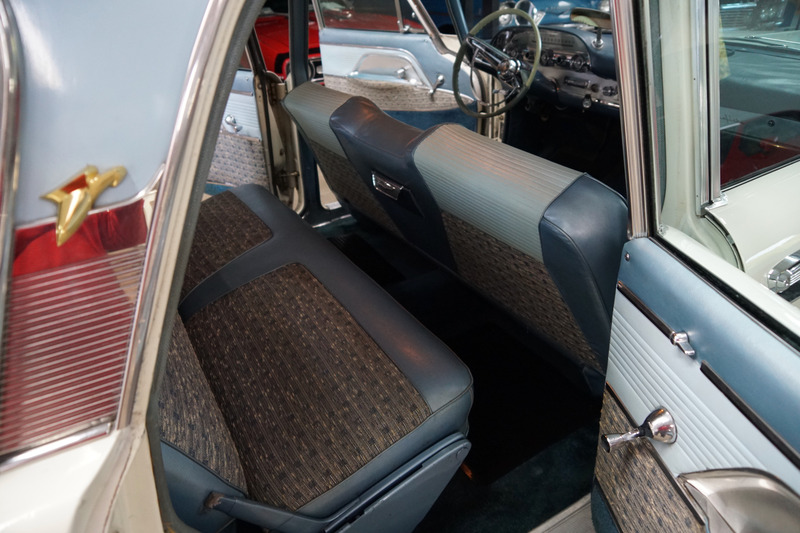 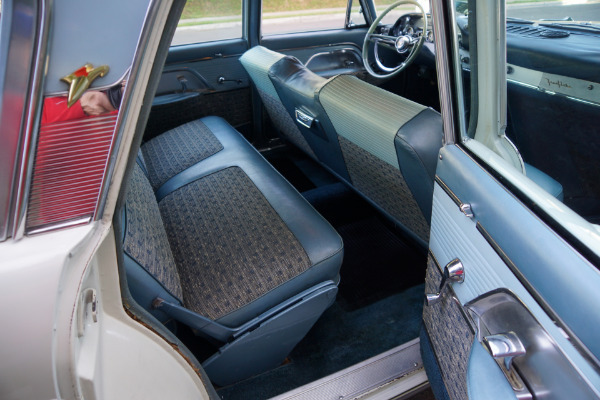 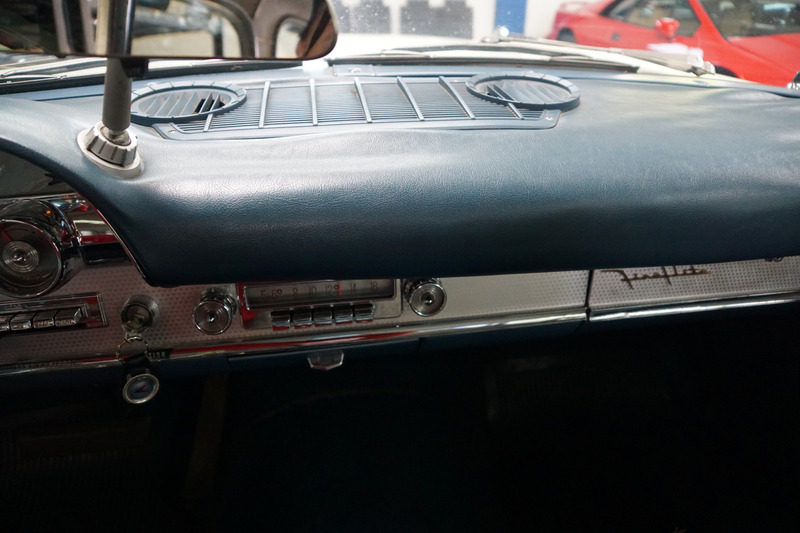 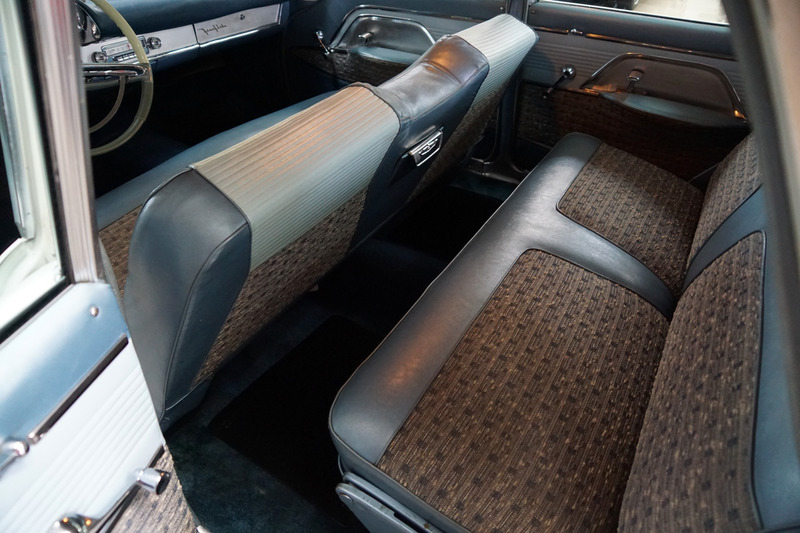 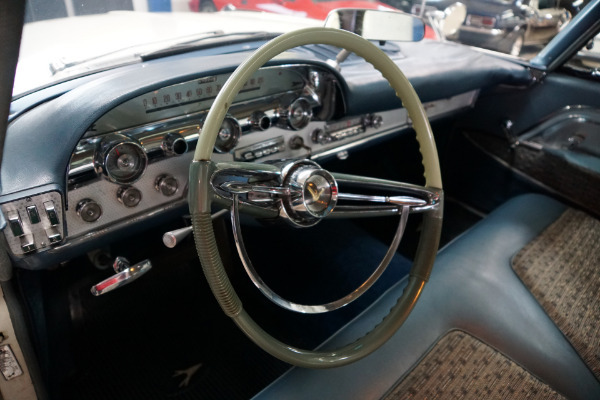 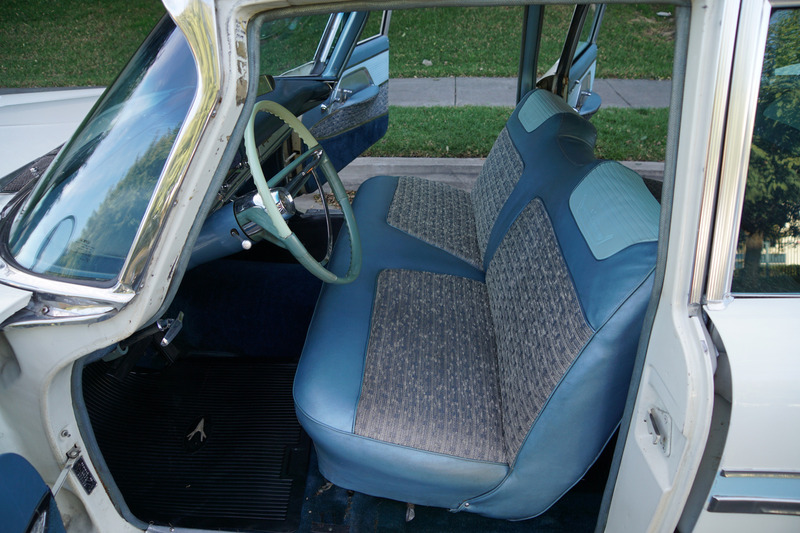 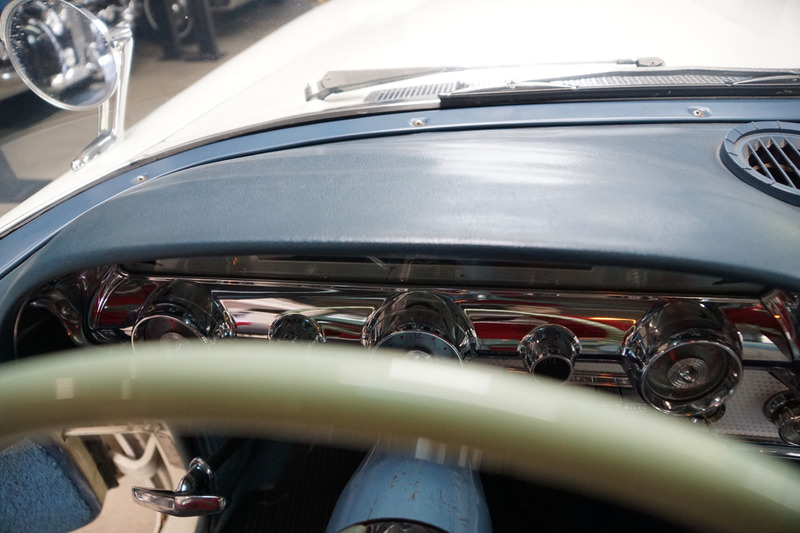 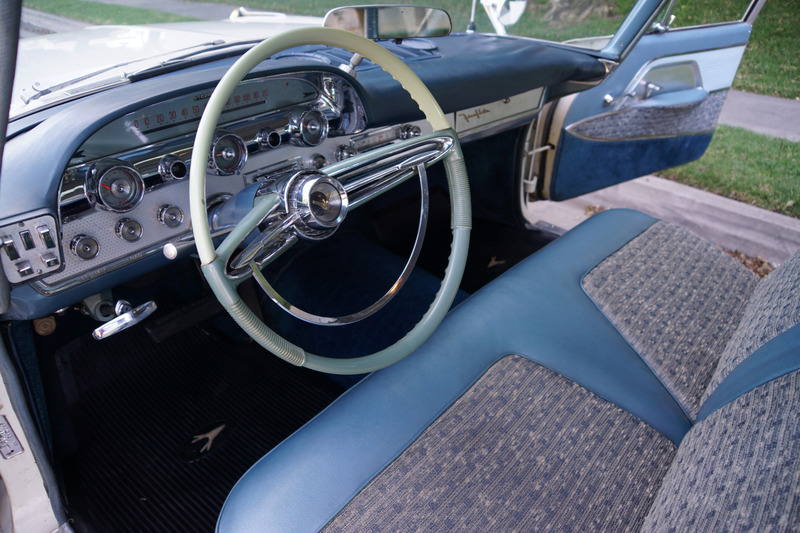 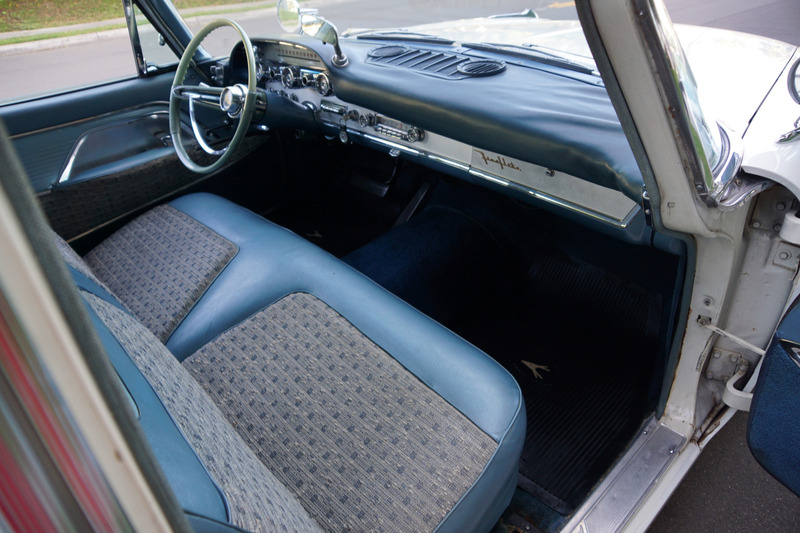 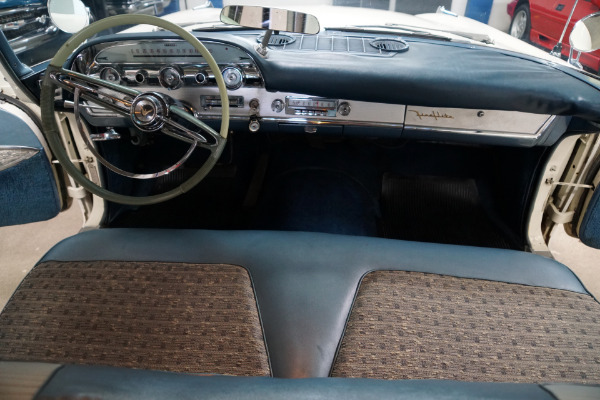 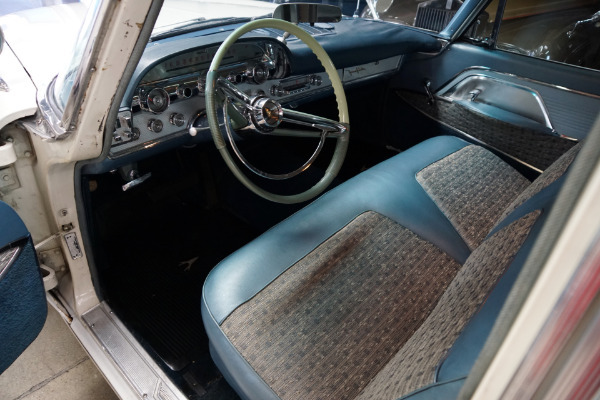 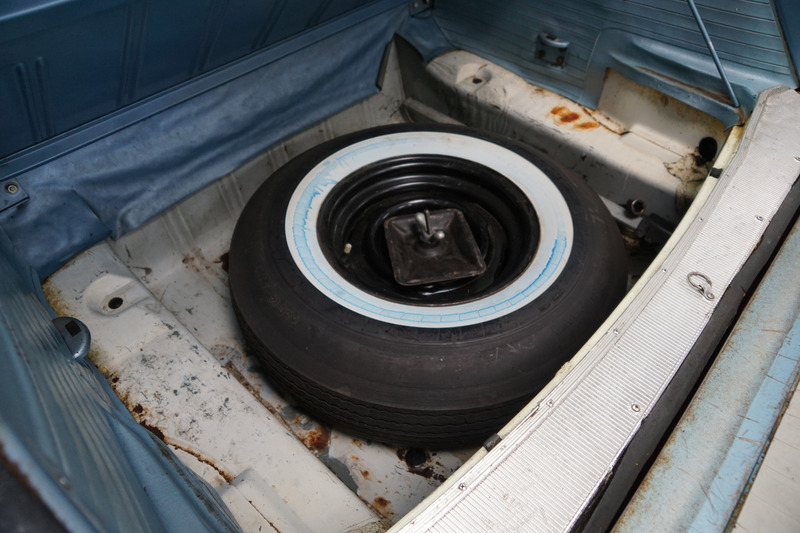 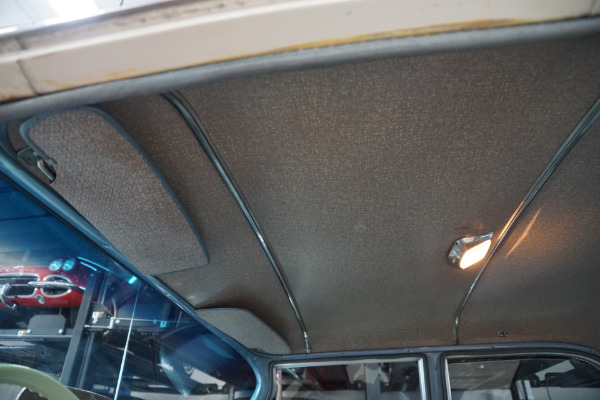 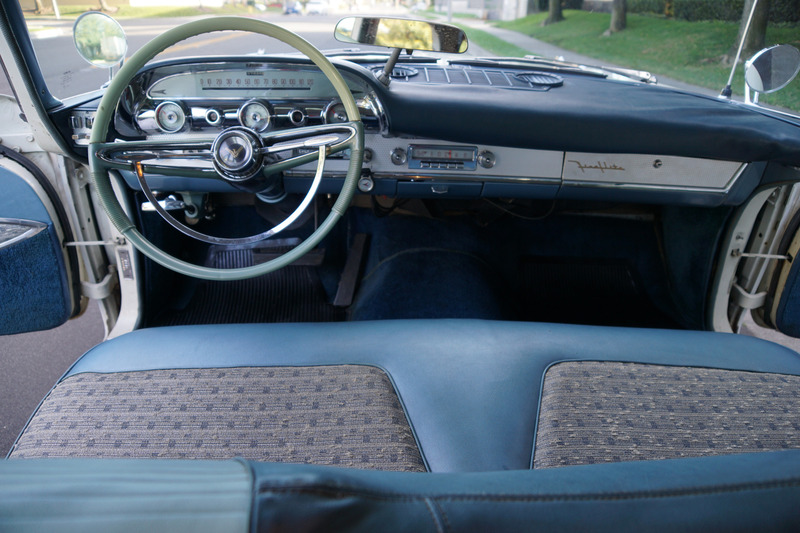 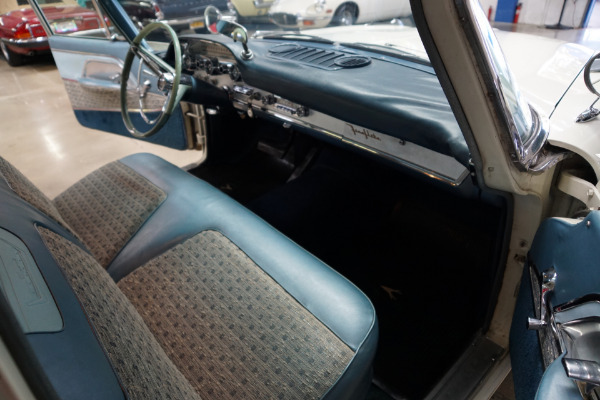 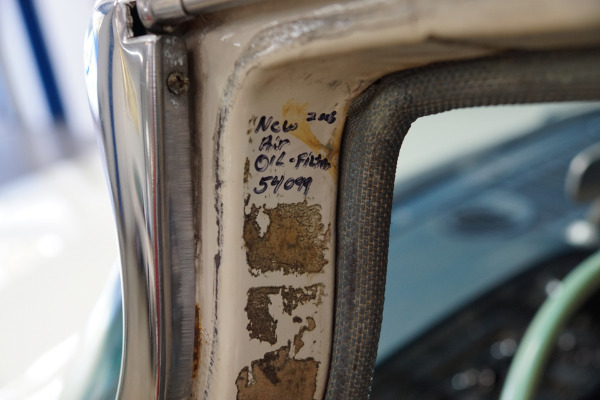 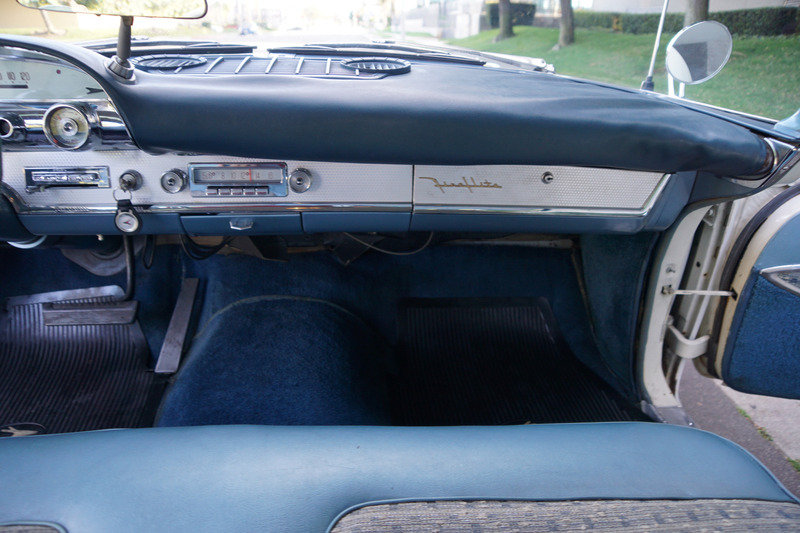 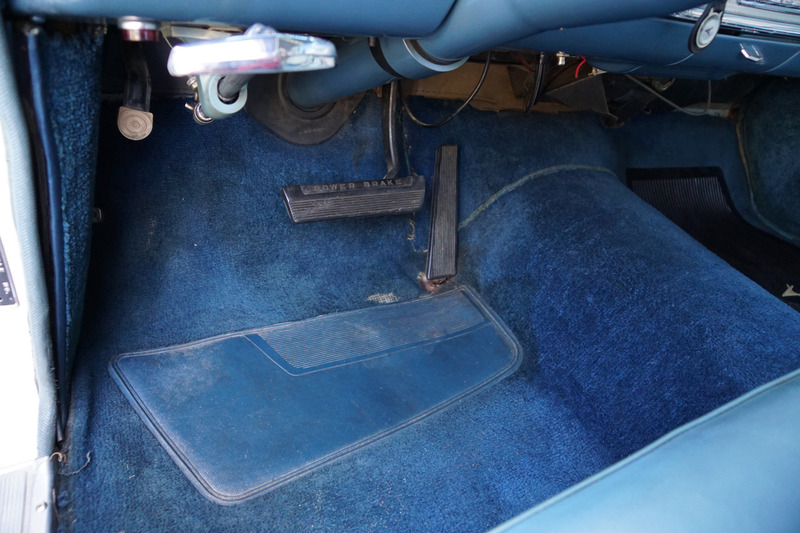 Topping off the dashboard was an instrument panel safety cushion which was standard on the Firedome and Fireflite models but optional on all other models. 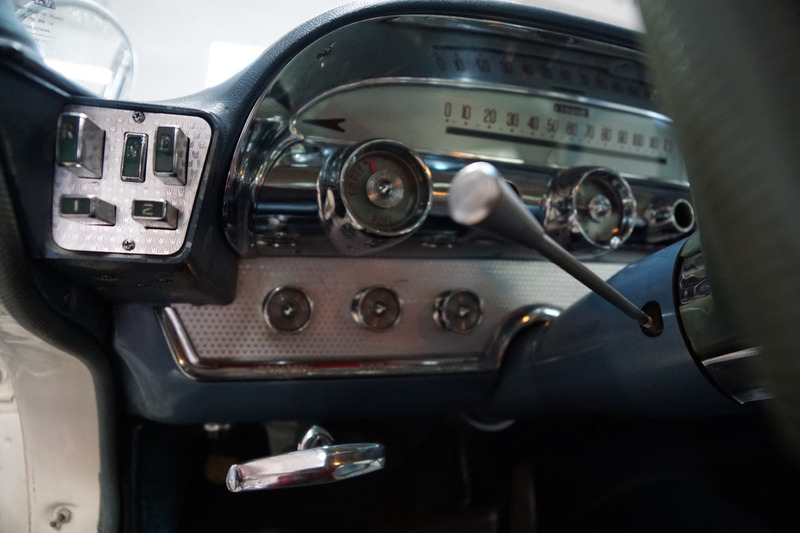 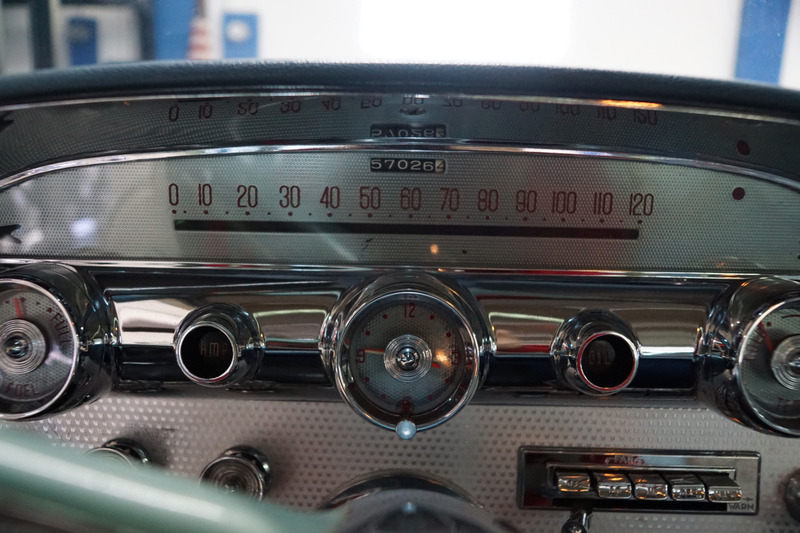 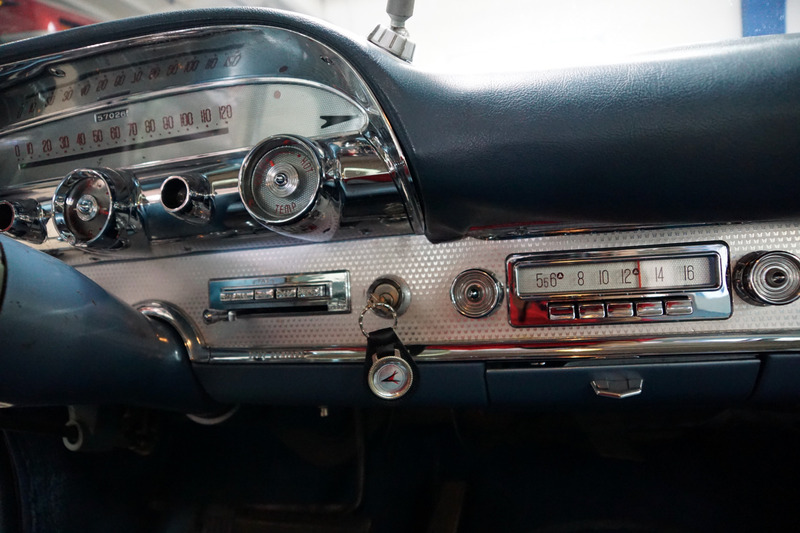 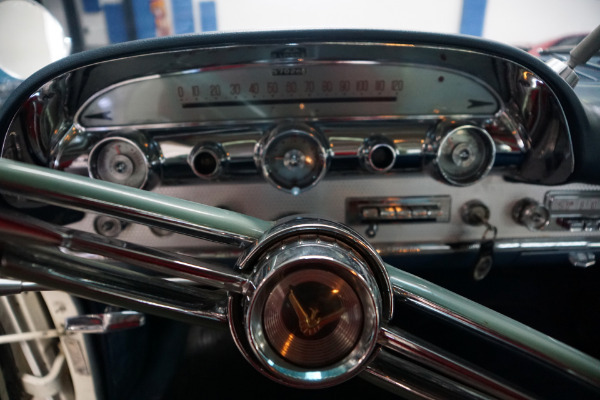 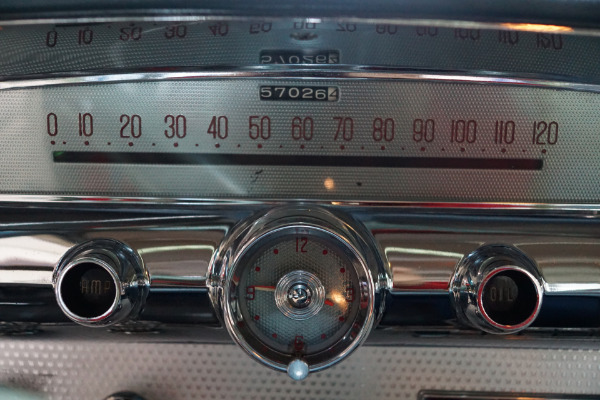 Gauges were handsomely grouped in front of the driver with a horizontally mounted 'Safety Color Accuribbon' speedometer that changed color as speed increased. 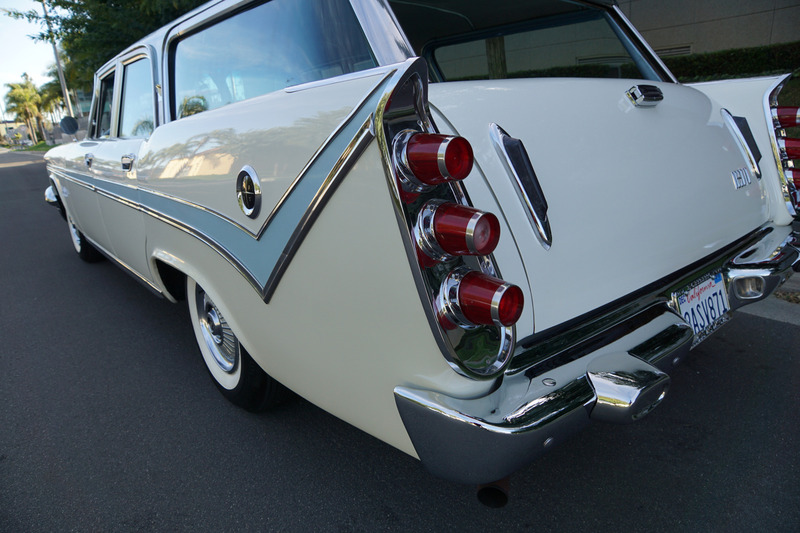 It was green up to 30mph, then changed to white between 30-50mph and then red when the car exceeded 50mph. 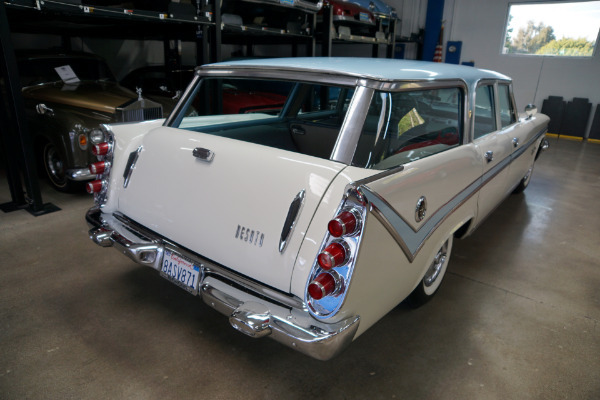 This was to be the last year for both the Firesweep and Firedome series and indeed all convertible and station wagon models, the Sportsman and the high performance dual 4 barrel Adventurer engine. 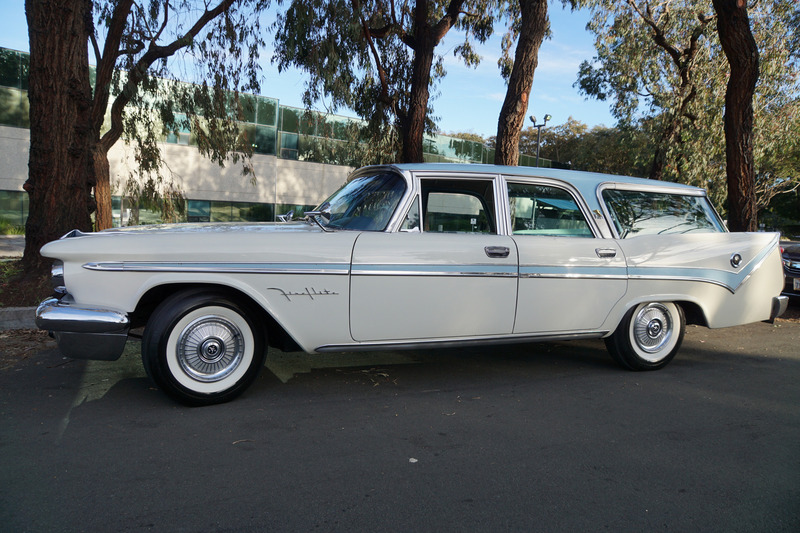 The six passenger 383/325HP V8 Fireflite 'Shopper' was to be the lowest production of all De Soto wagons, and is therefore obviously the rarest model of all the De Soto wagons built, with a scant 271 produced. 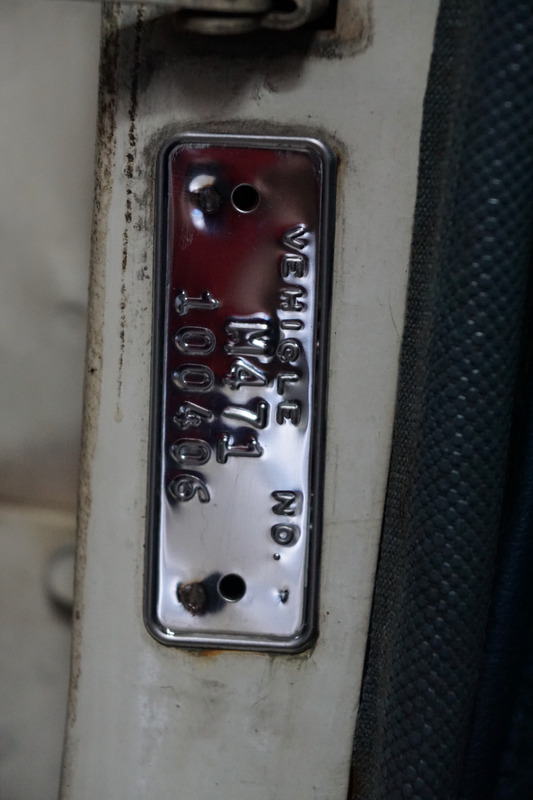 Meanwhile the 9 passenger 'Explorer' had a production of 433 examples. 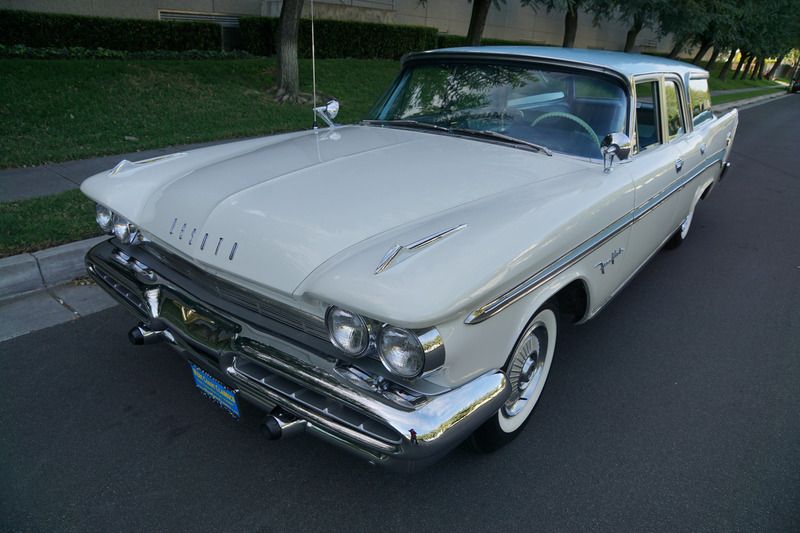 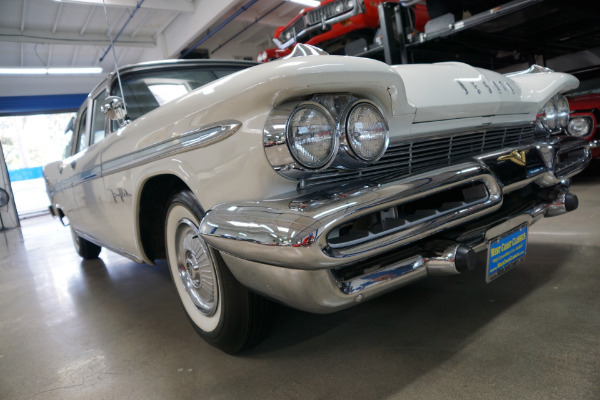 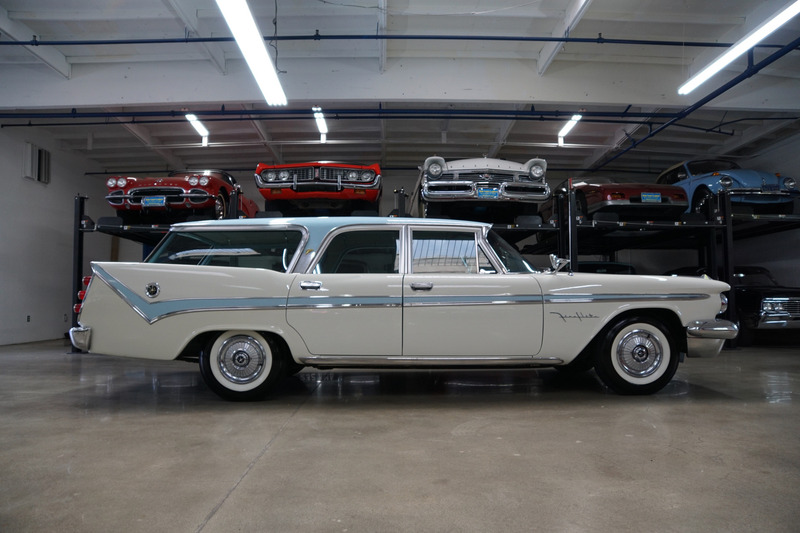 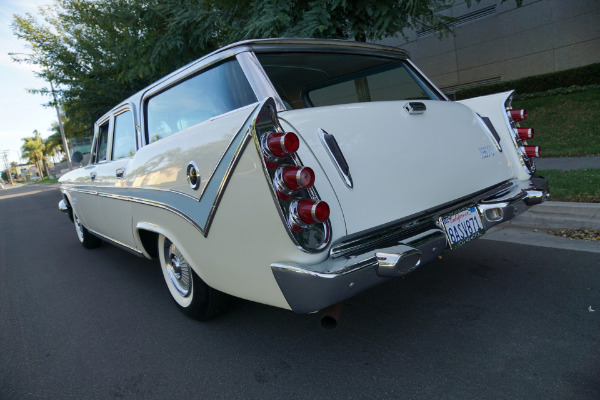 This is a rare opportunity to own a great daily driving and all original apart from some repaint on some of the White paint example of a never abused and oozing pride of ownership obviously always garaged and rust free 1959 De Soto Fireflite 'Shopper' station wagon in simply superb condition throughout! 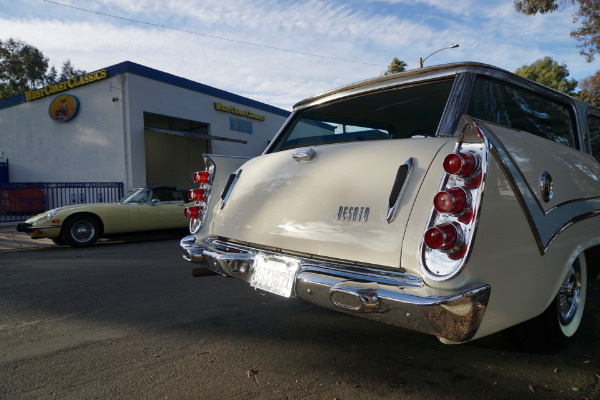 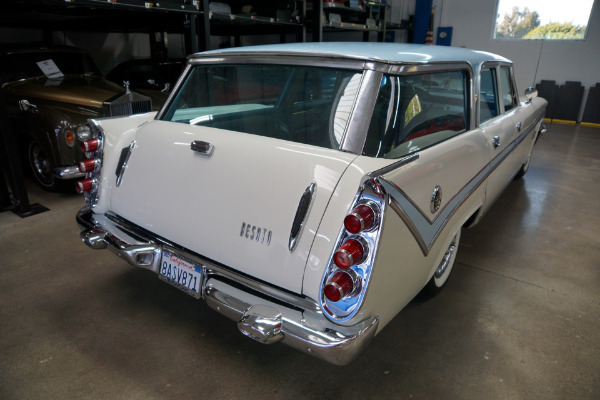 The car was reportedly owned for many years by a renown collector who particularly cherished this very rare wagon. 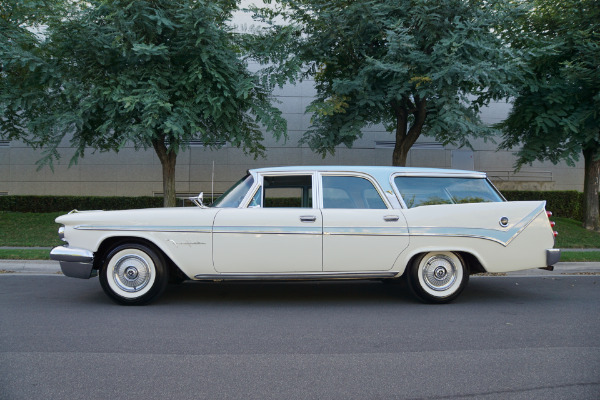 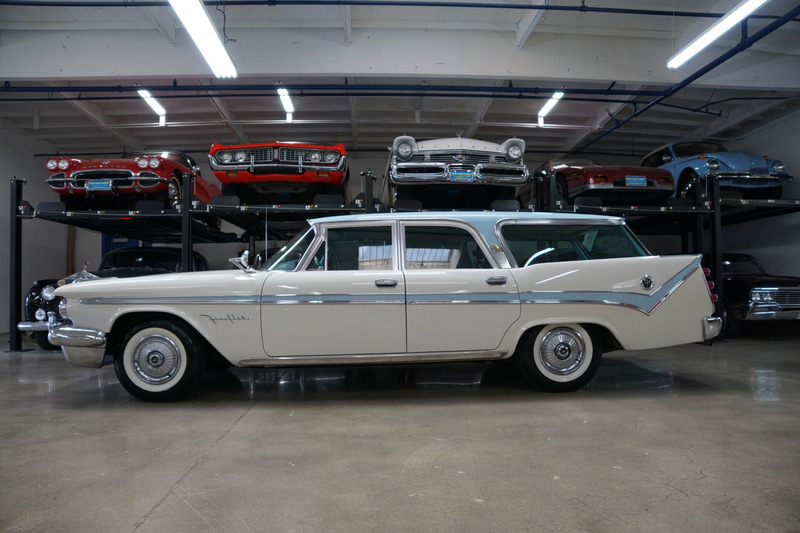 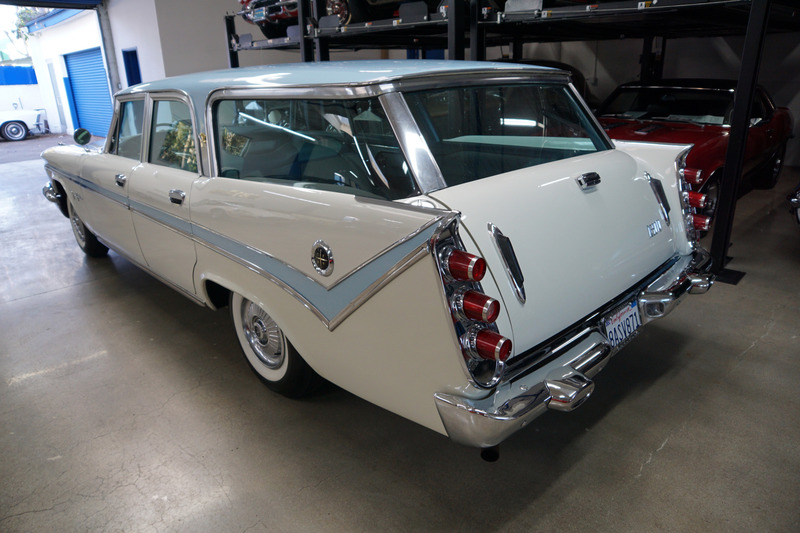 This is one very rare and highly desirable and collectible unabused example of one of the most outstanding designs of the late fifties, these high quality and extraordinarily unique station wagons were built to be able to complete long distances both quickly, powered by Chrysler's large 383 cid 4BBL V8 engine matched to the legendary Torqueflite automatic transmission, and in supreme luxury for the ultimate drive and in the utmost of room and comfort, of any all American station wagon! 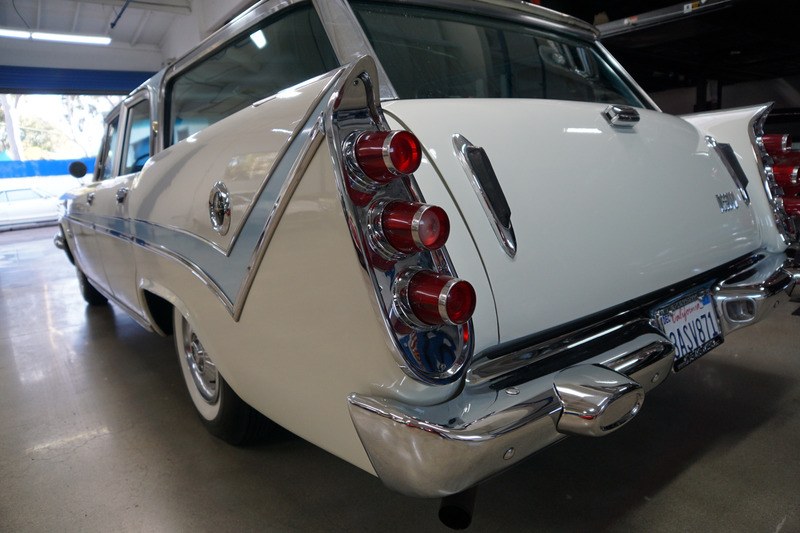 We doubt that a finer example exists anywhere. 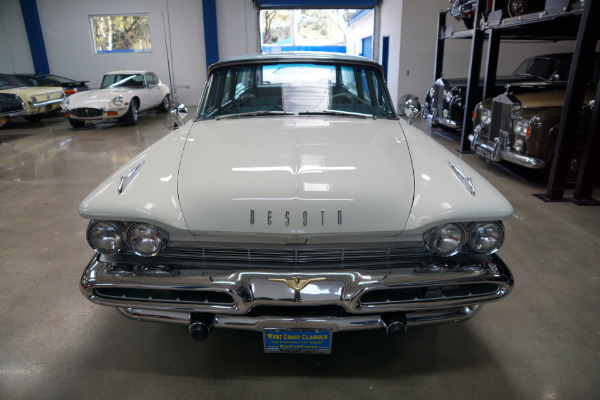 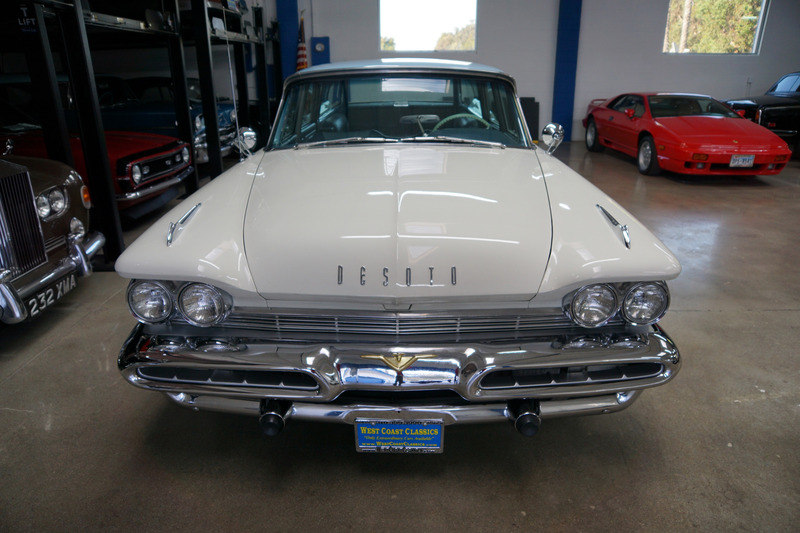 This is therefore one very desirable and collectible car for any classic American car collector or obviously any De Soto or Chrysler enthusiast to add to his collection and a sure-fire investment that's sure to appreciate over the years for any classic American car collector!